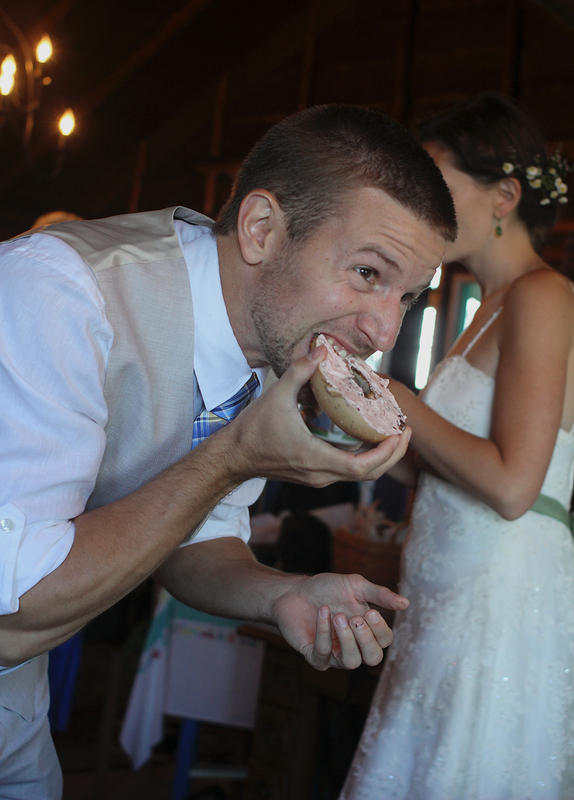 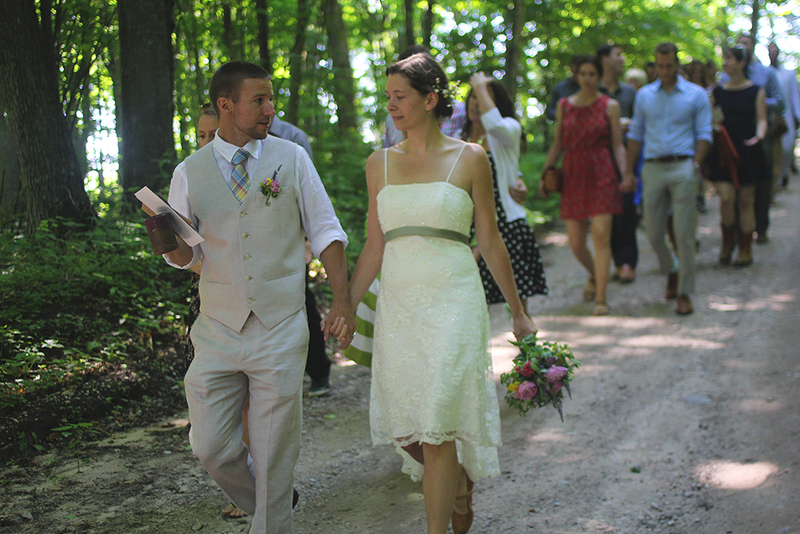 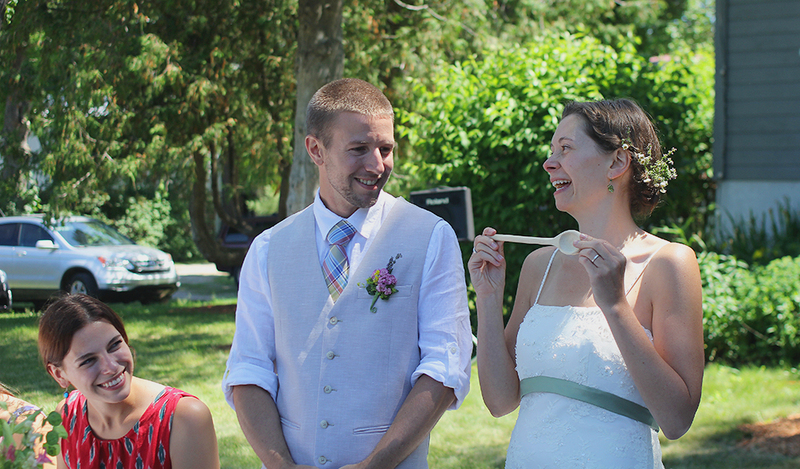 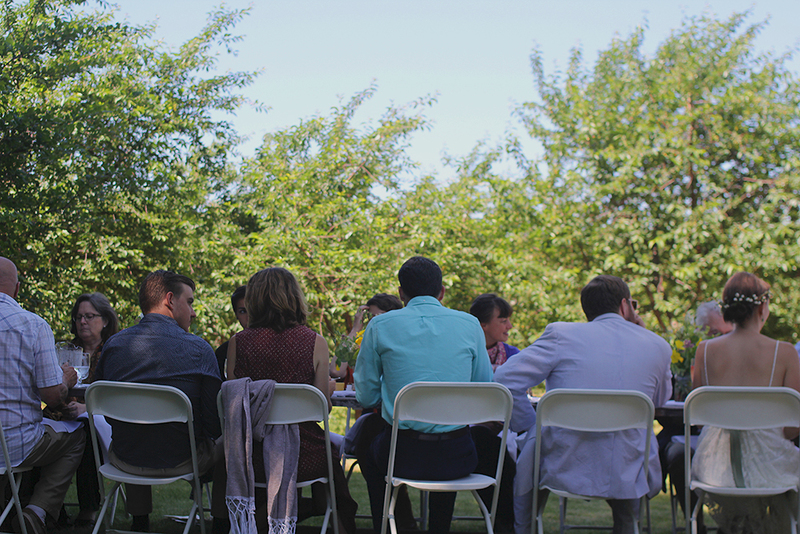 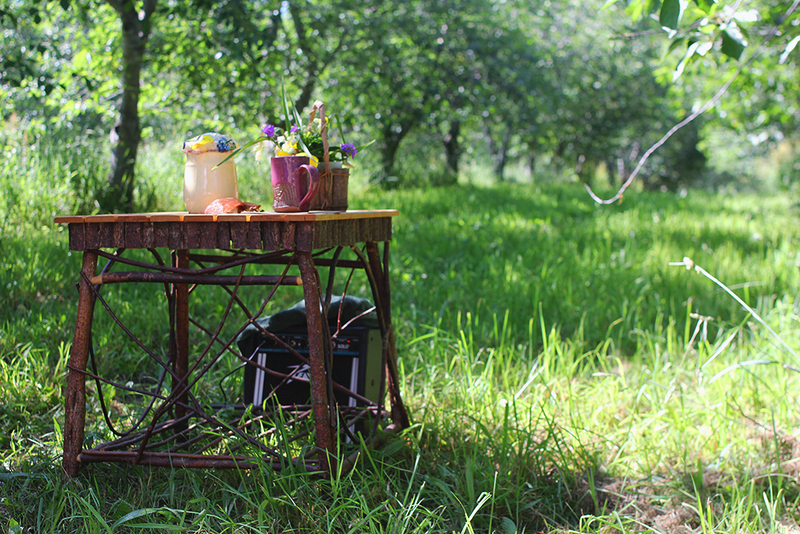 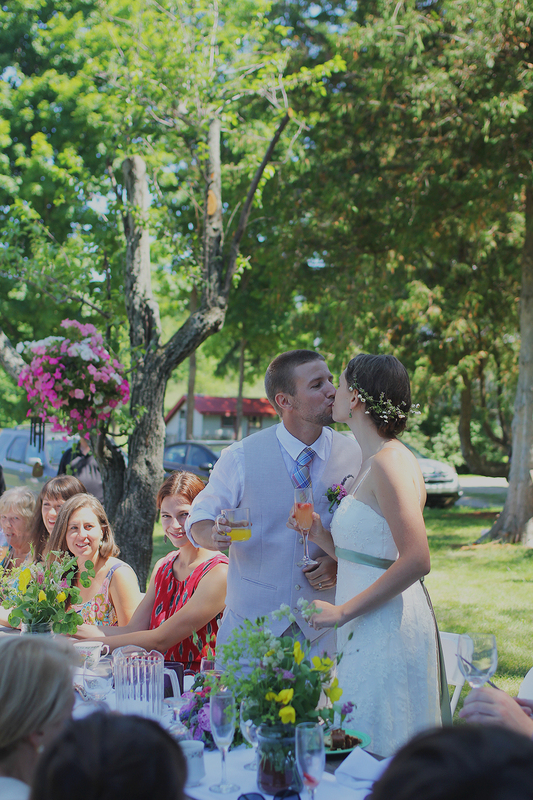 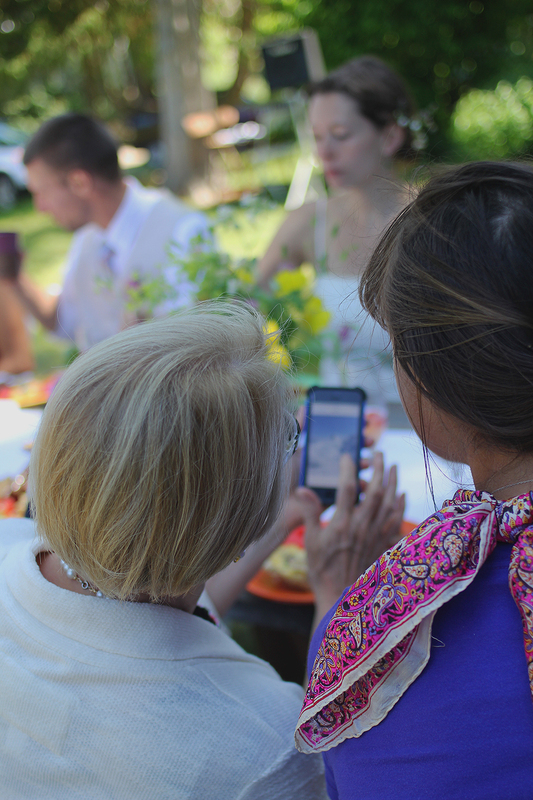 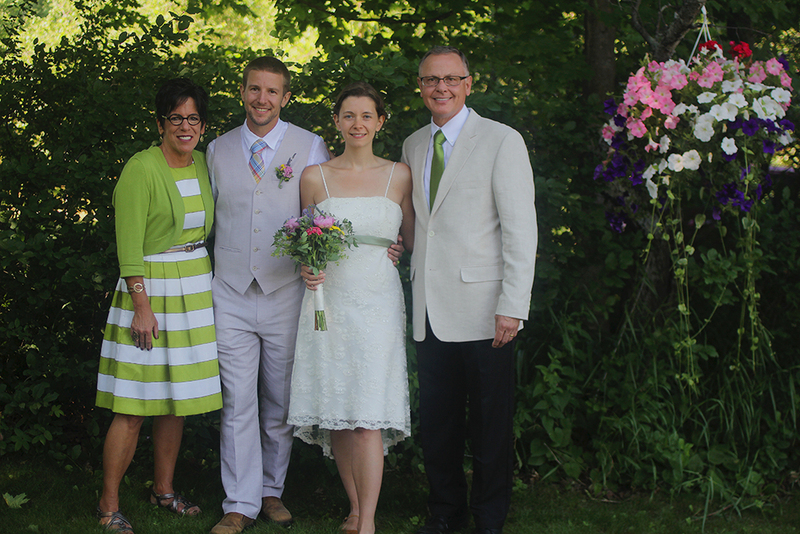 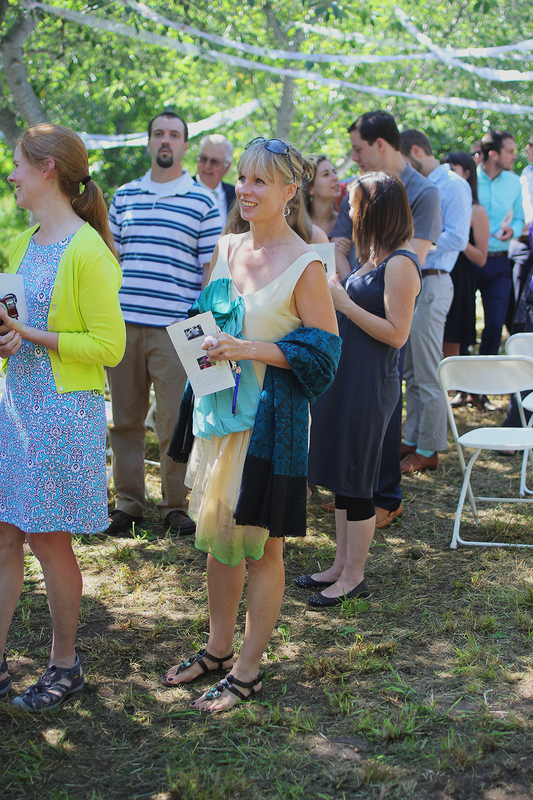 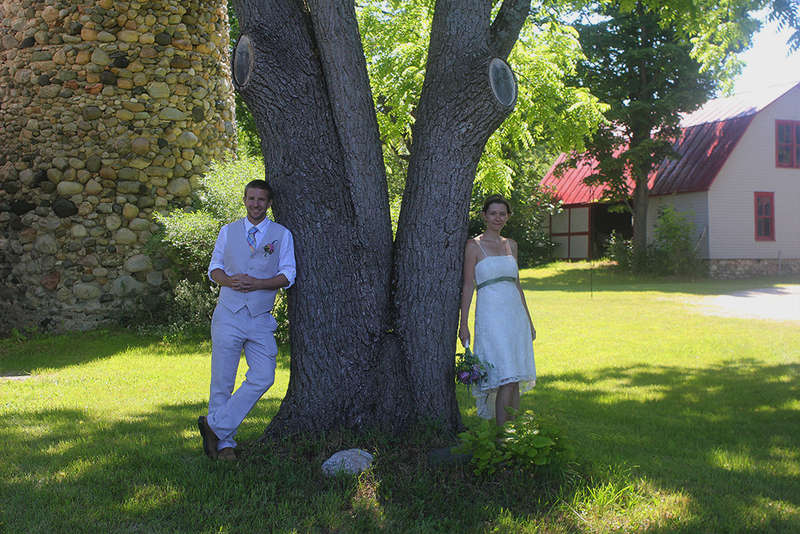 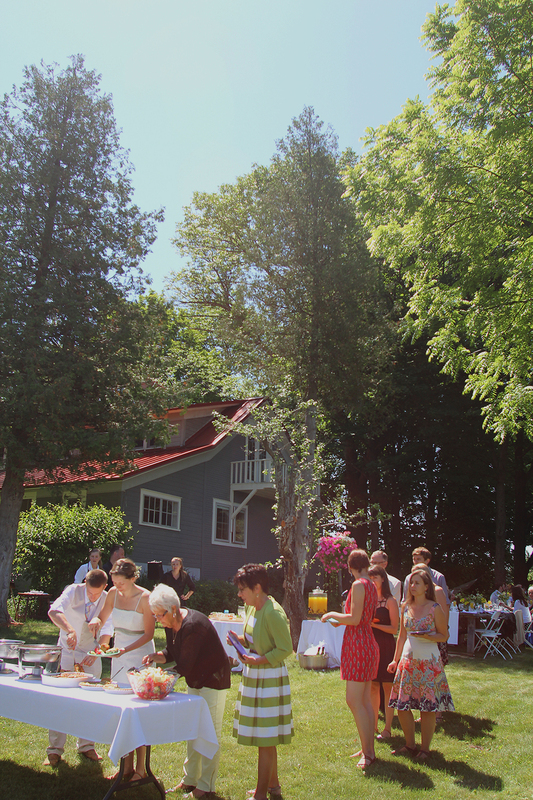 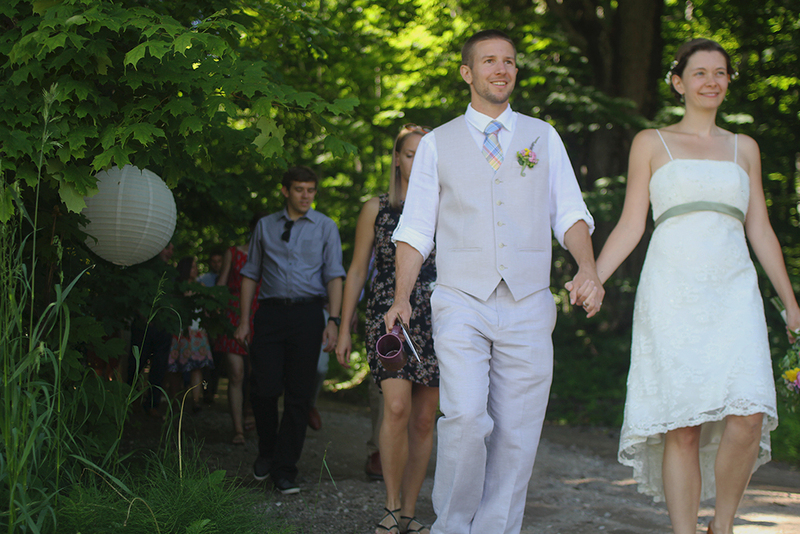 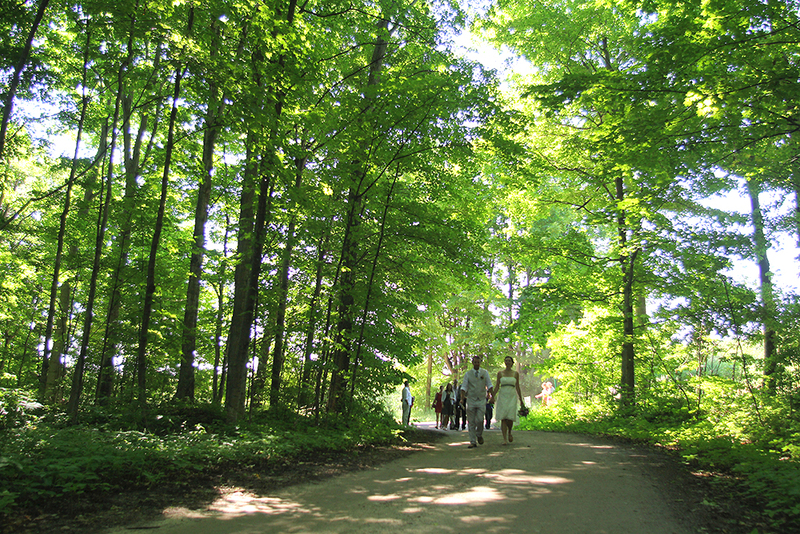 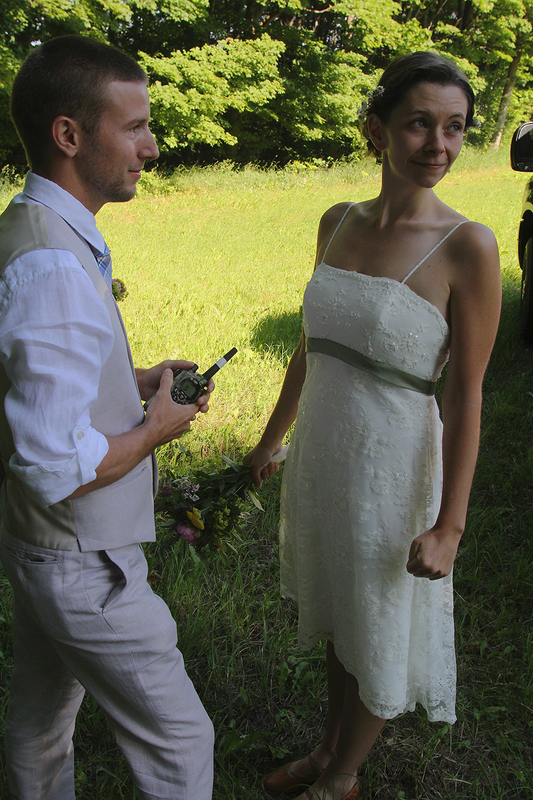 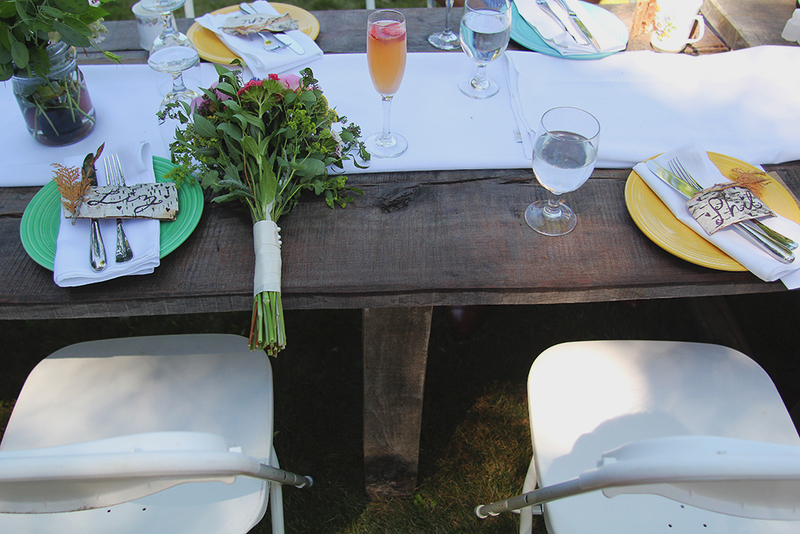 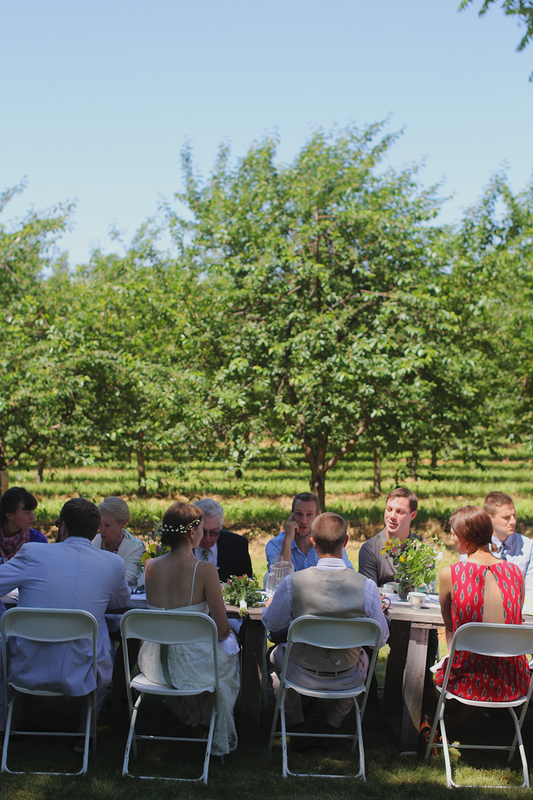 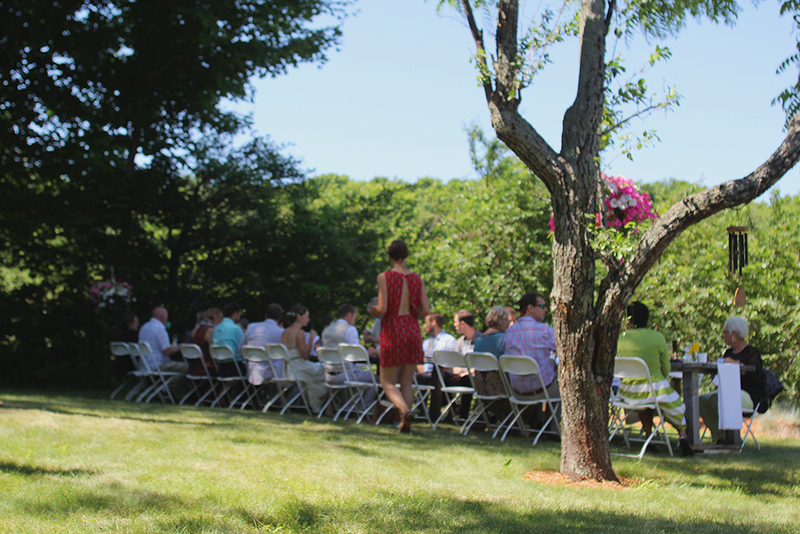 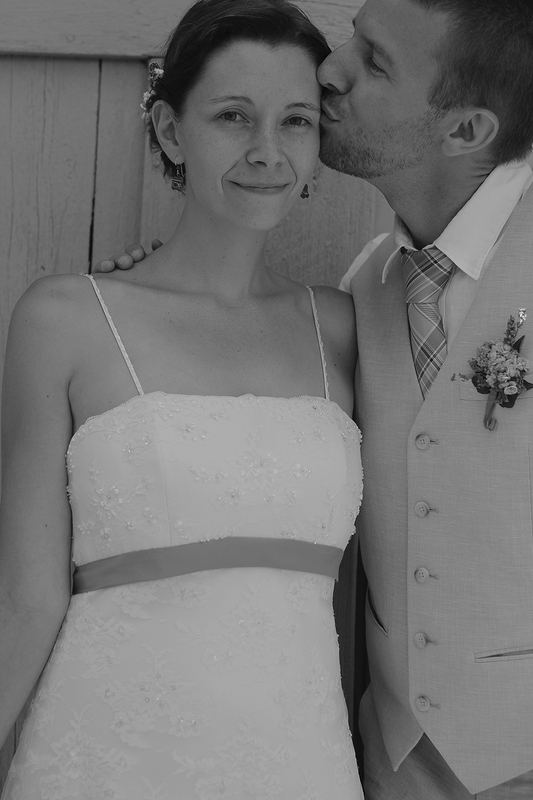 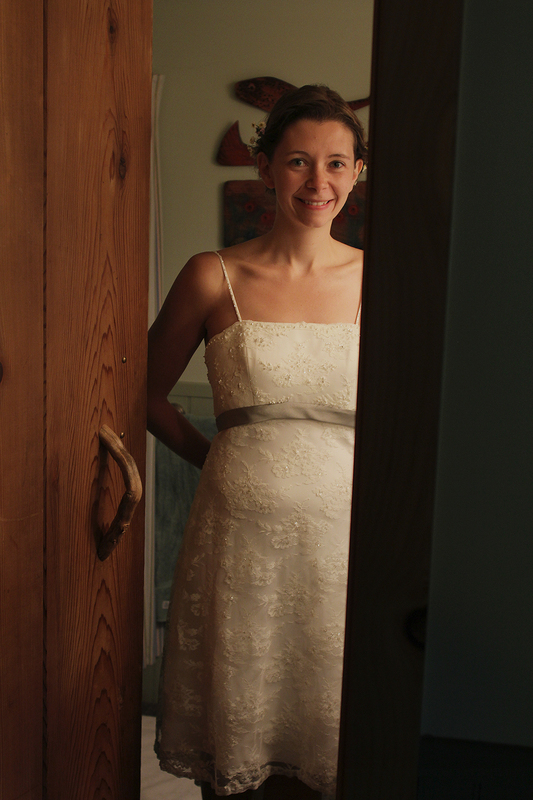 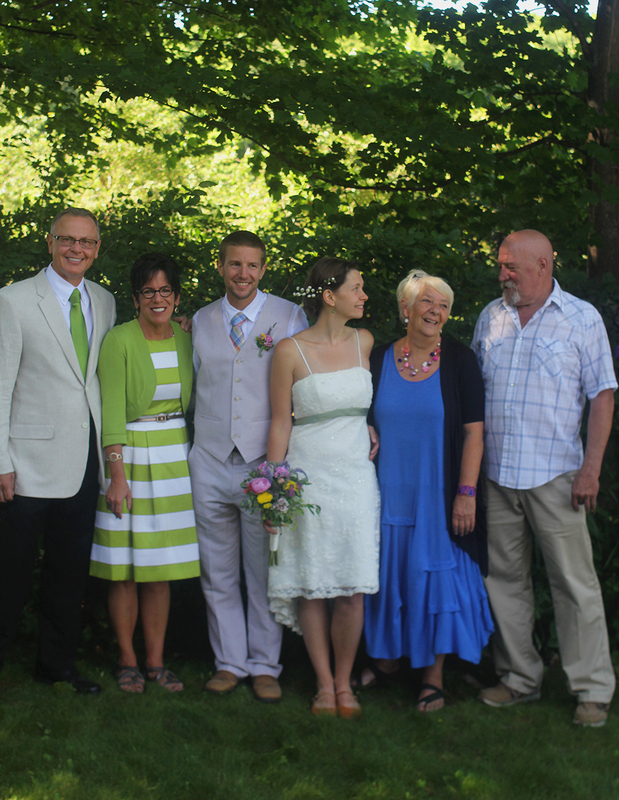 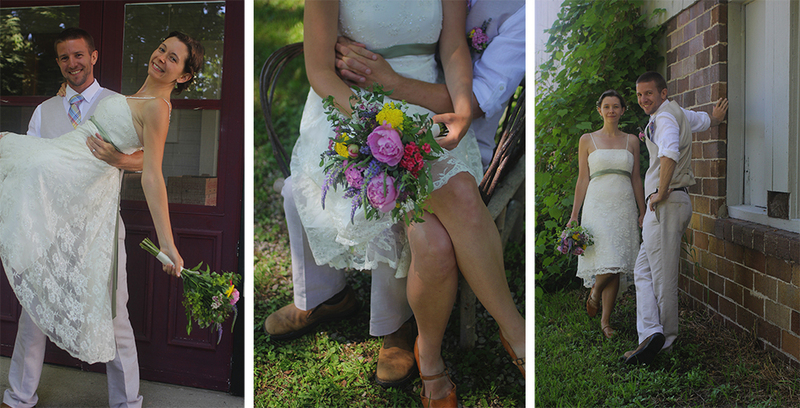 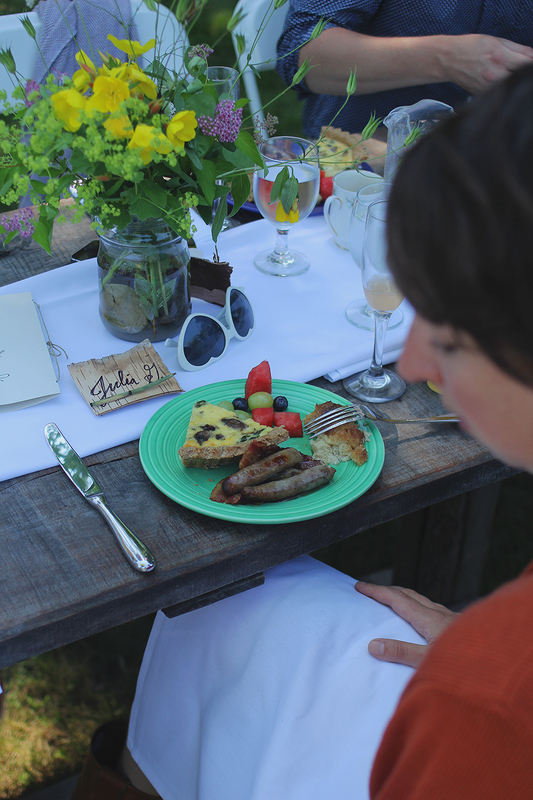 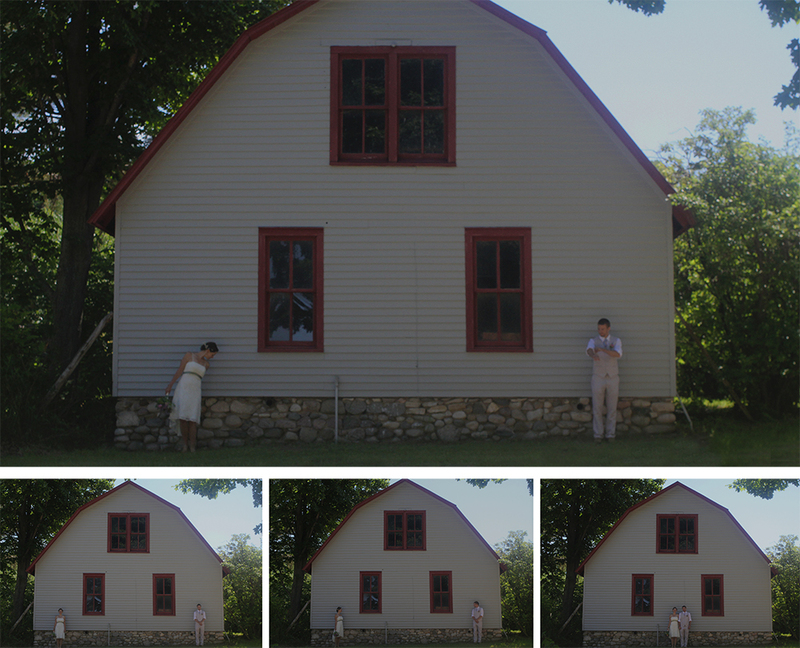 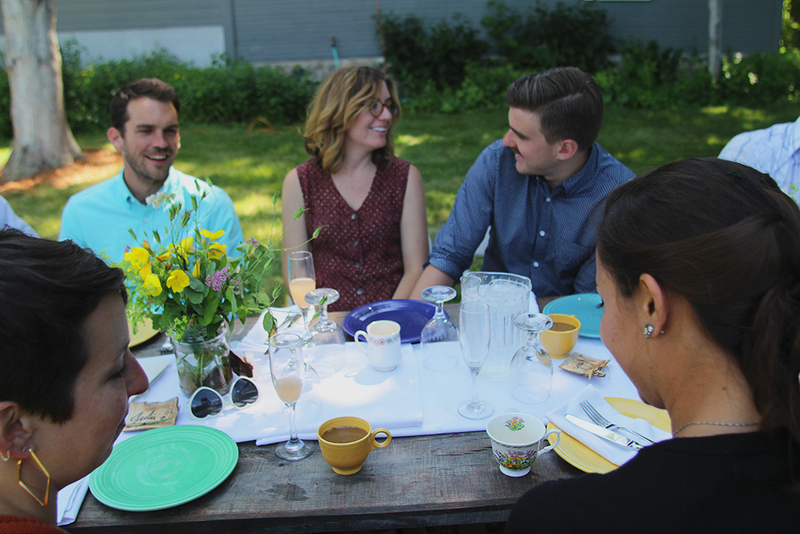 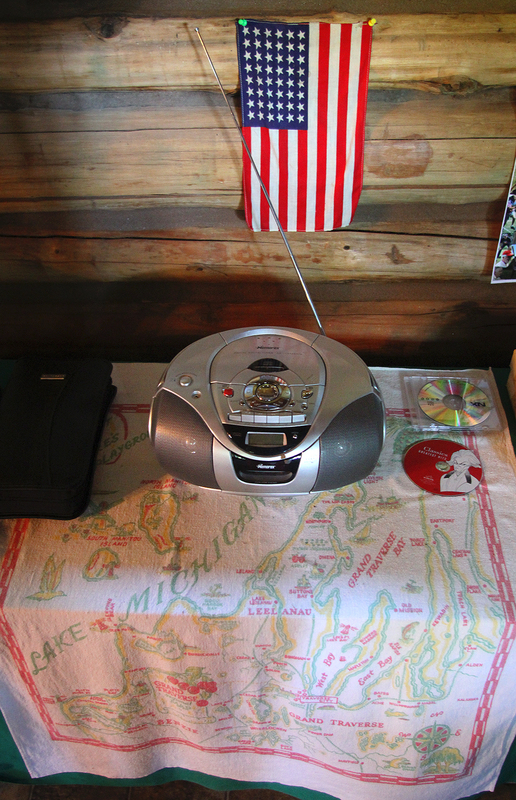 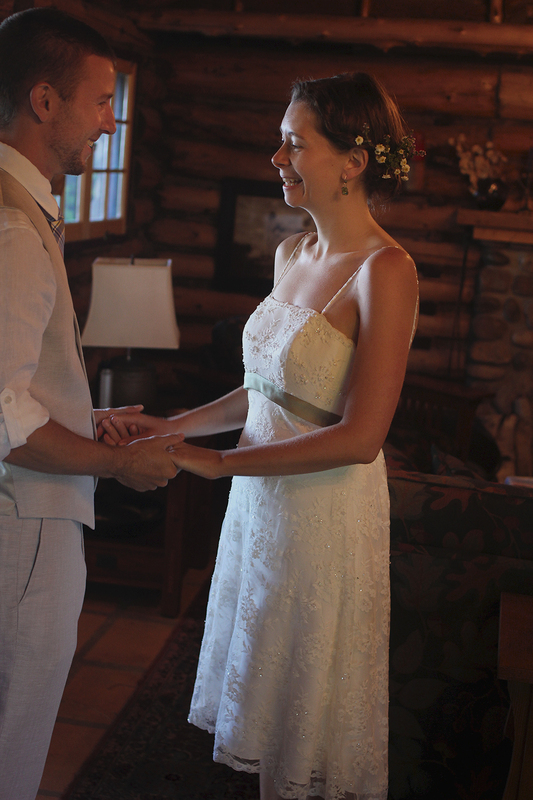 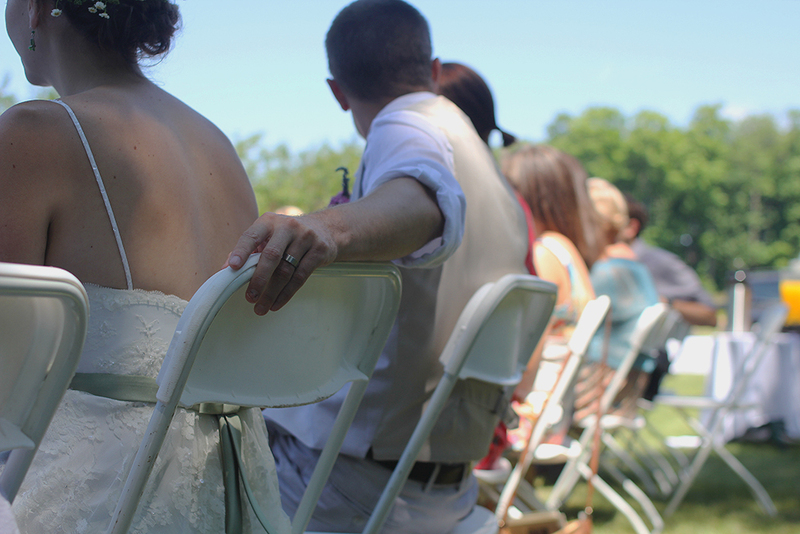 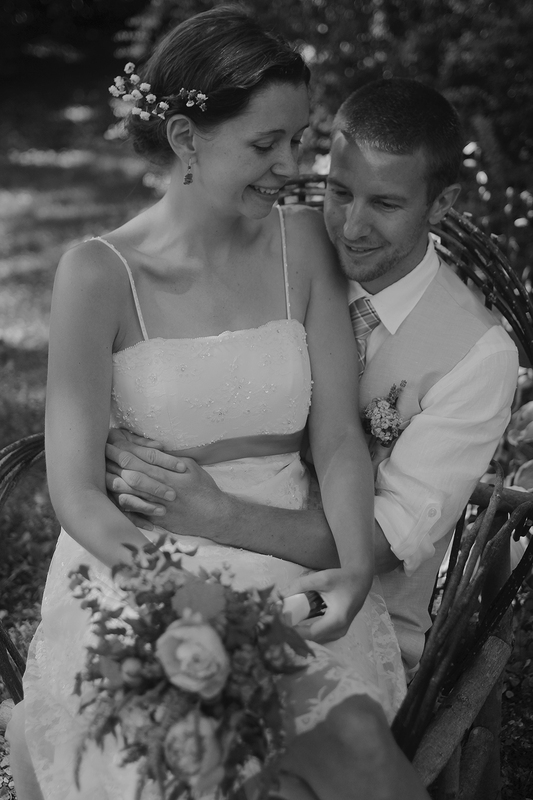 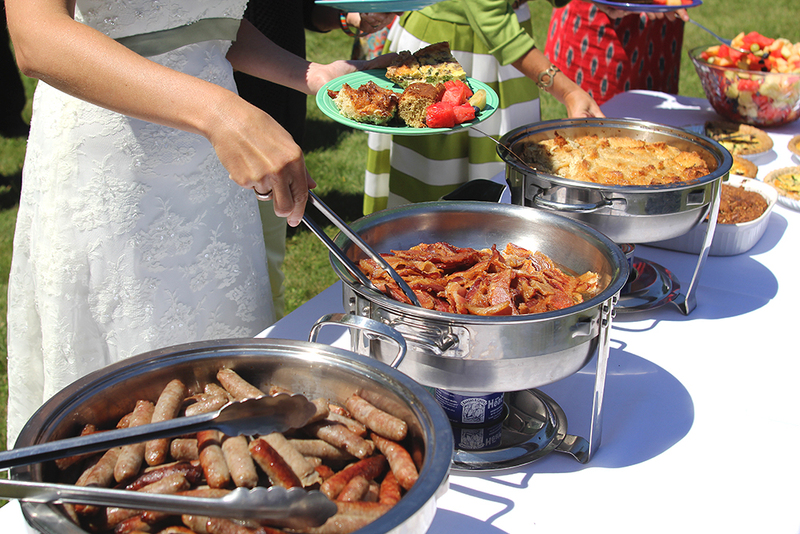 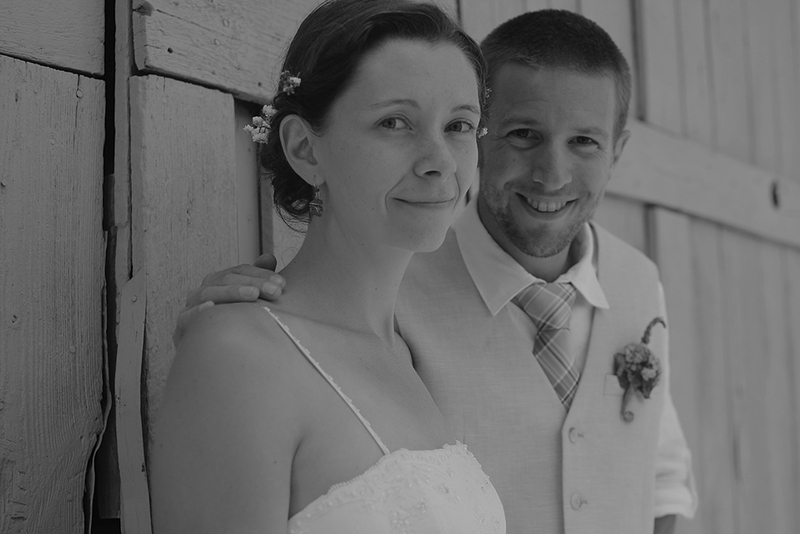 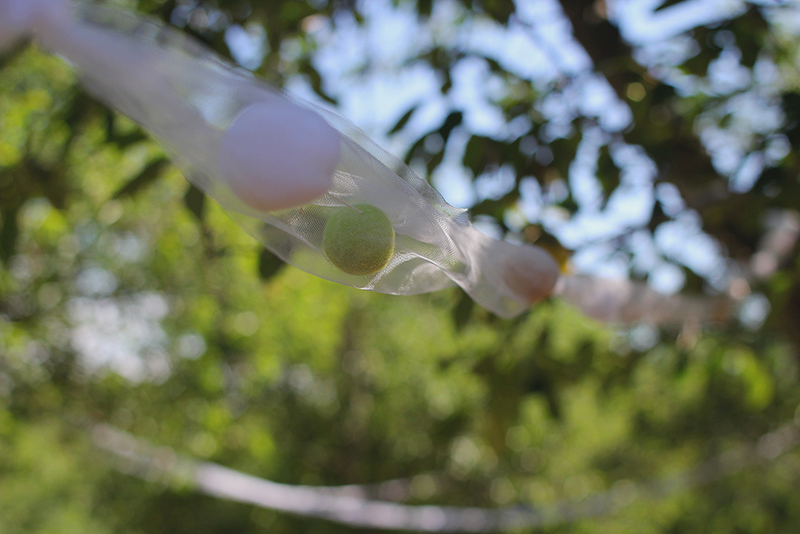 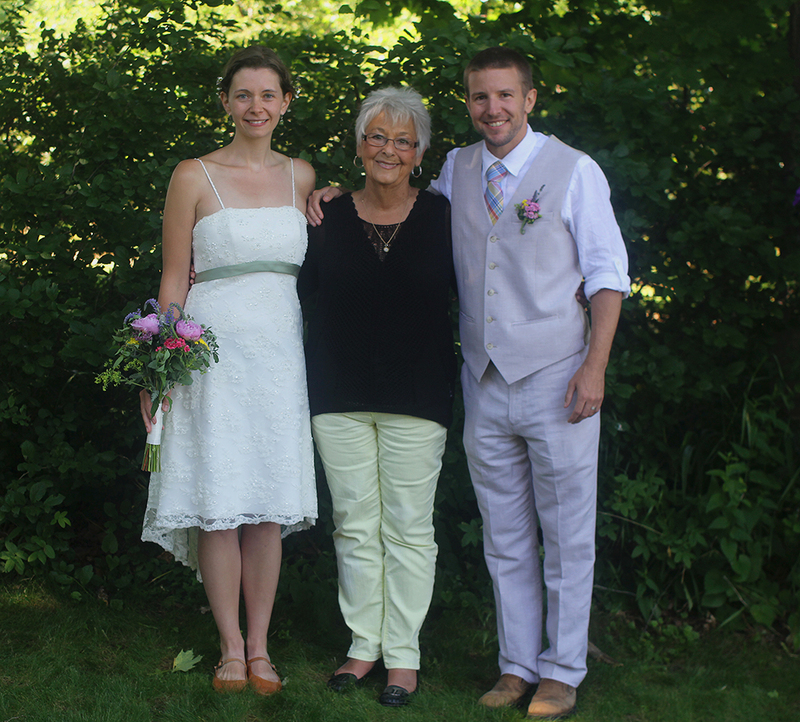 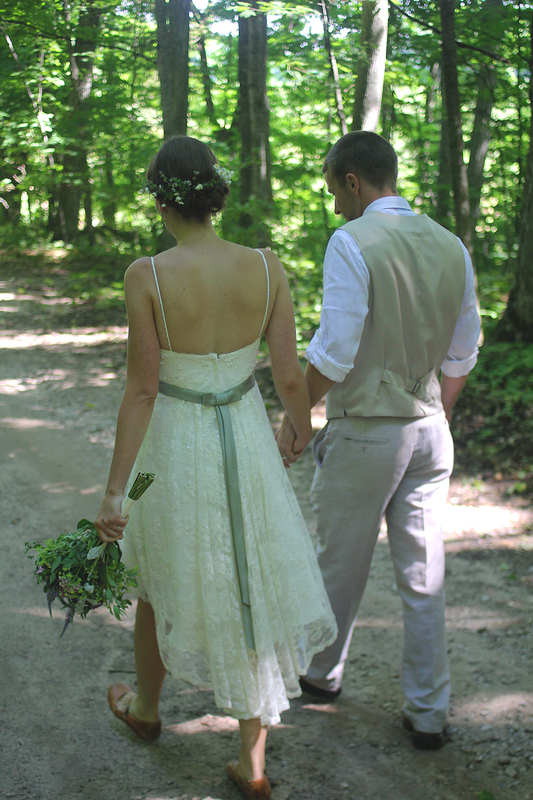 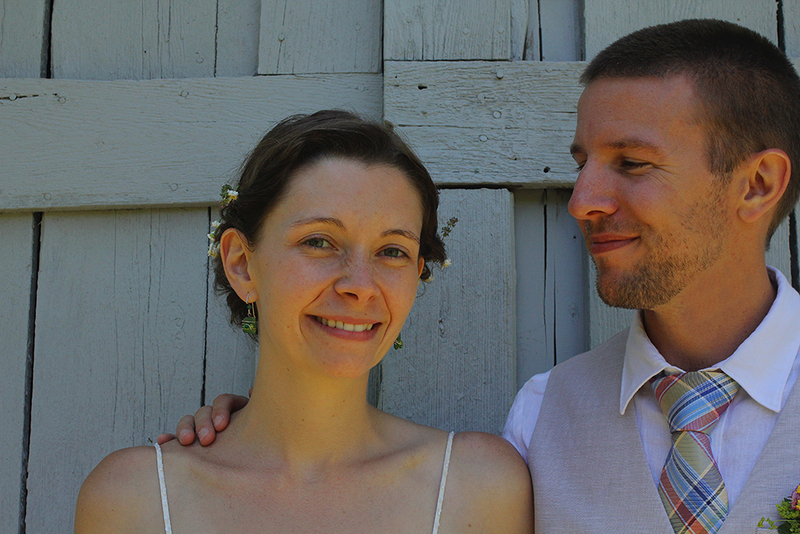 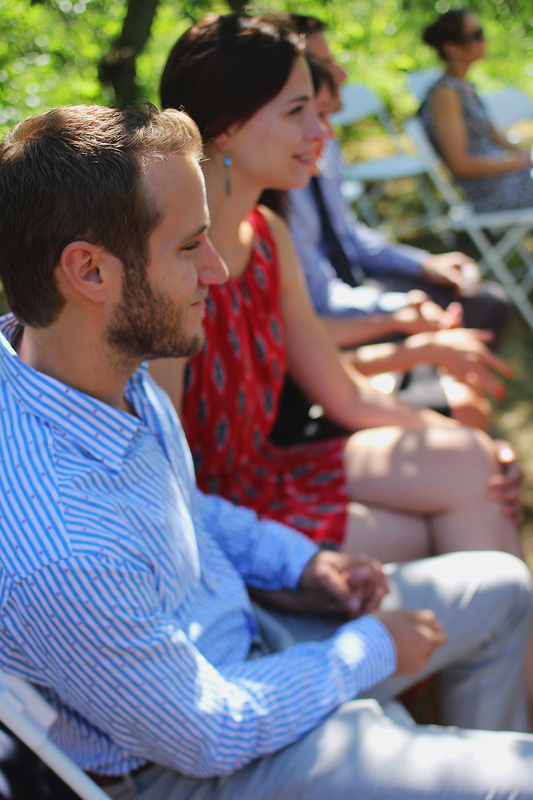 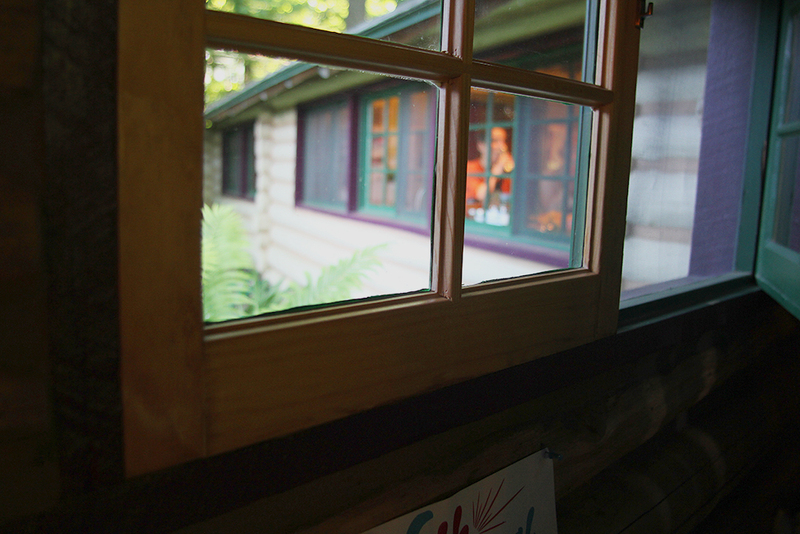 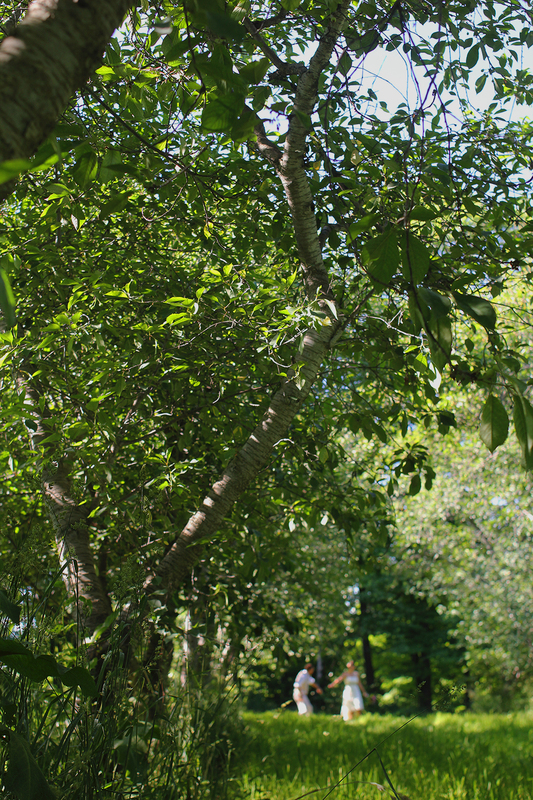 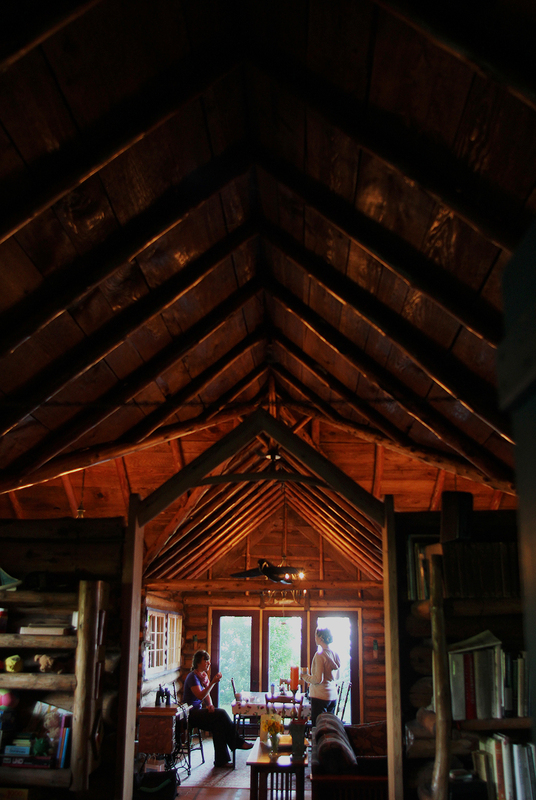 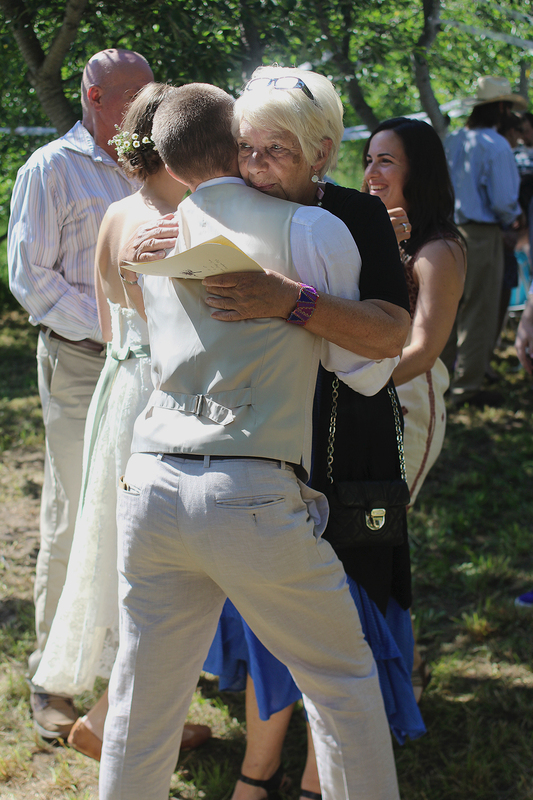 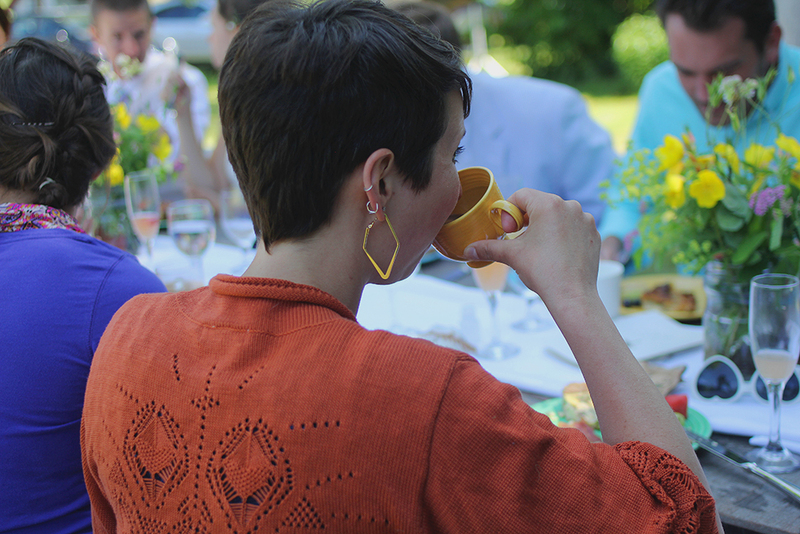 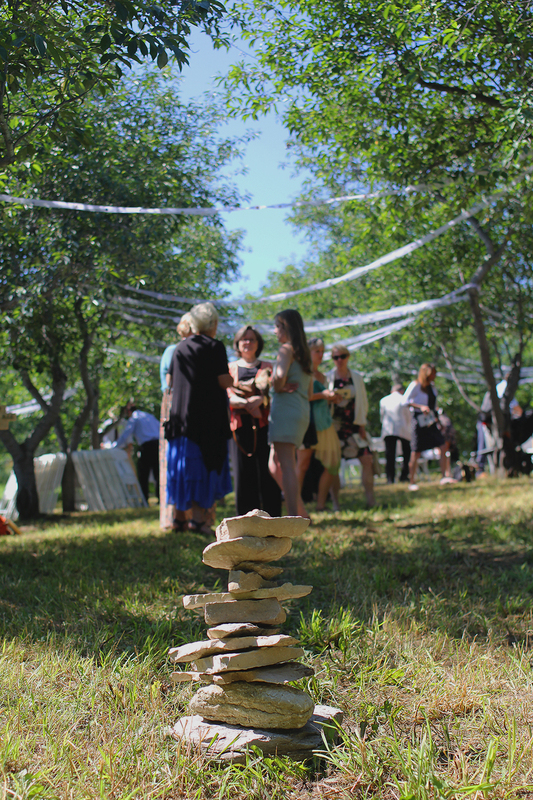 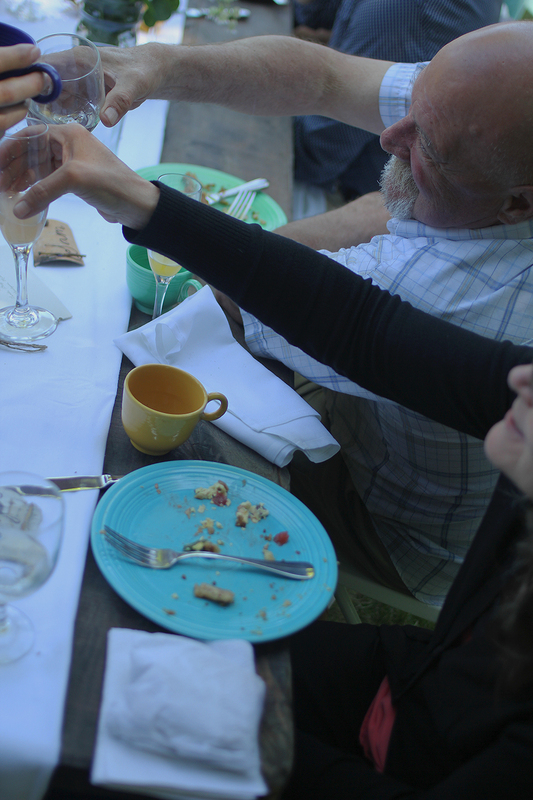 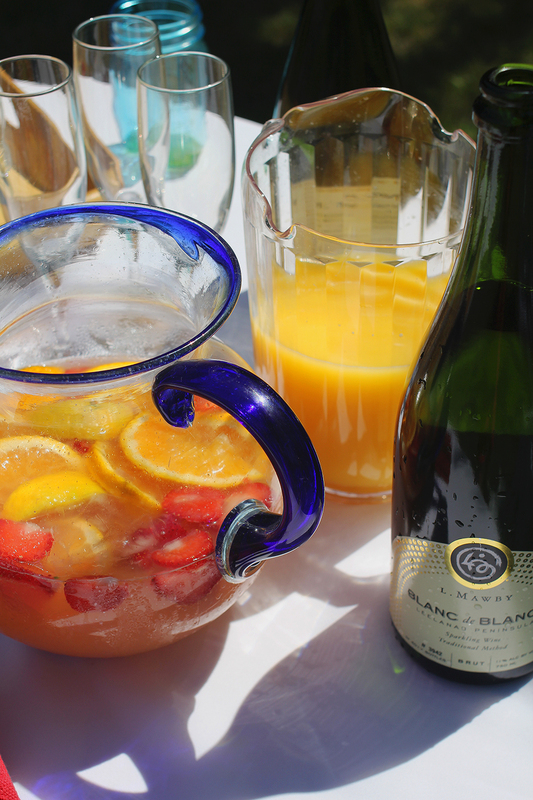 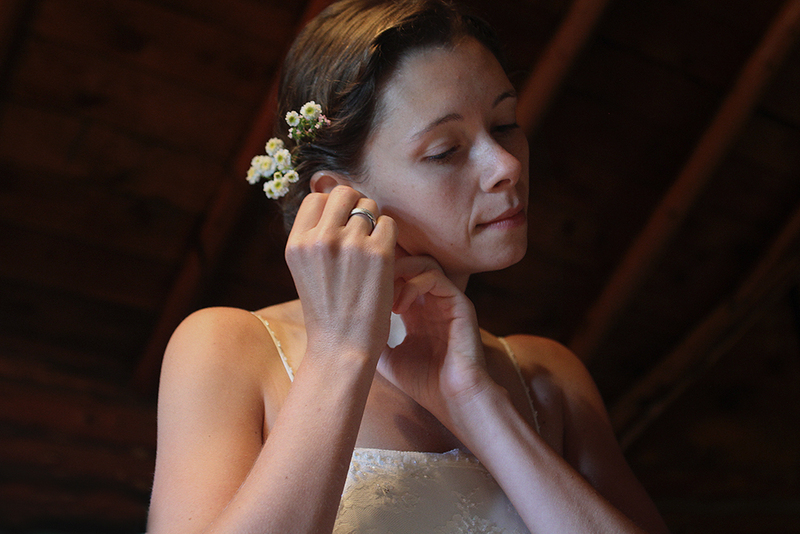 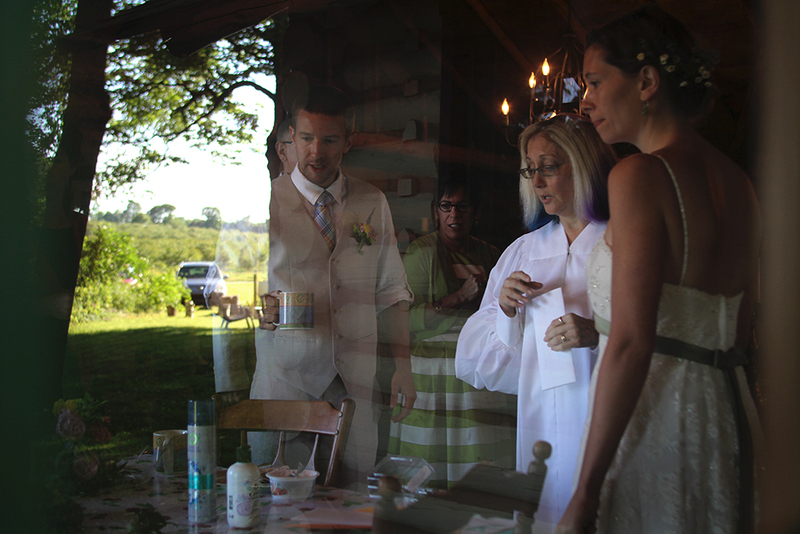 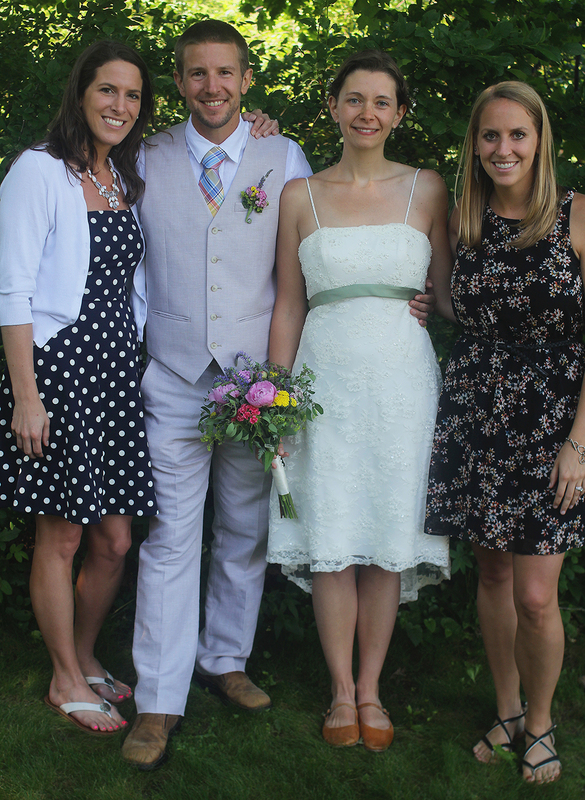 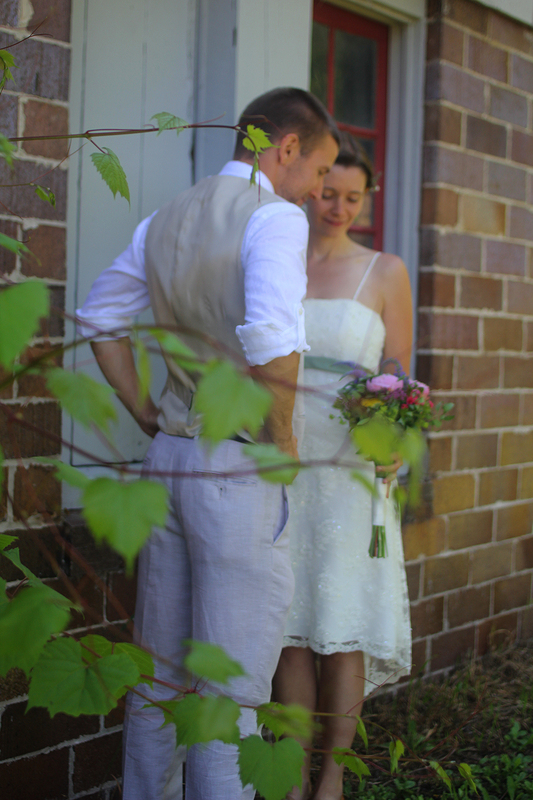 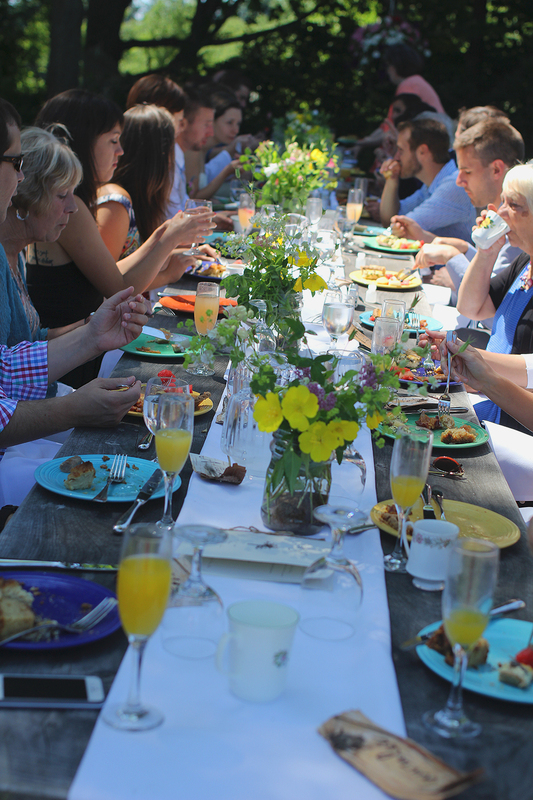 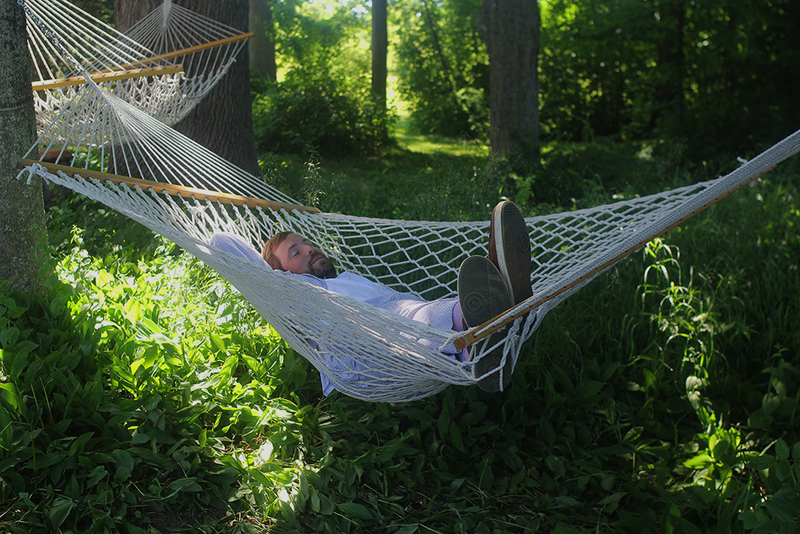 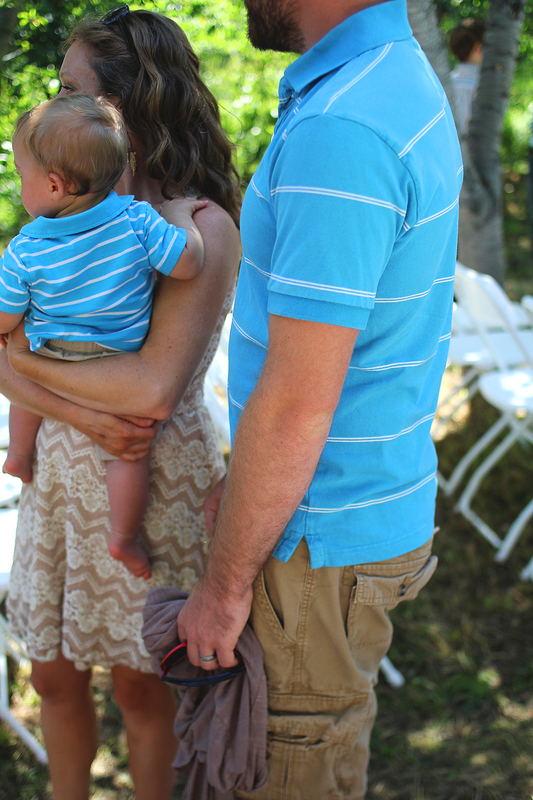 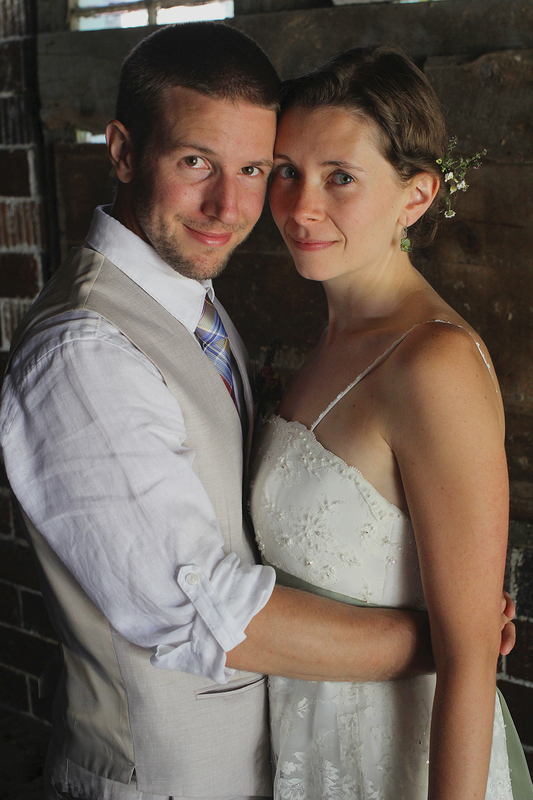 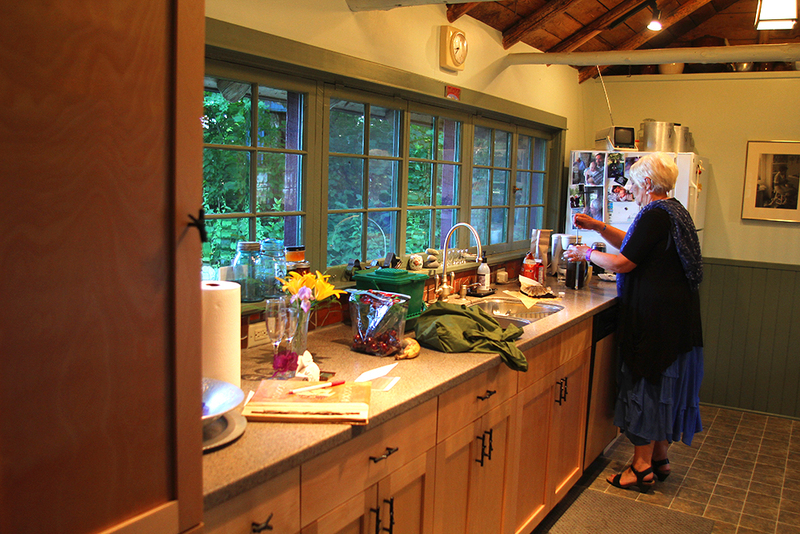 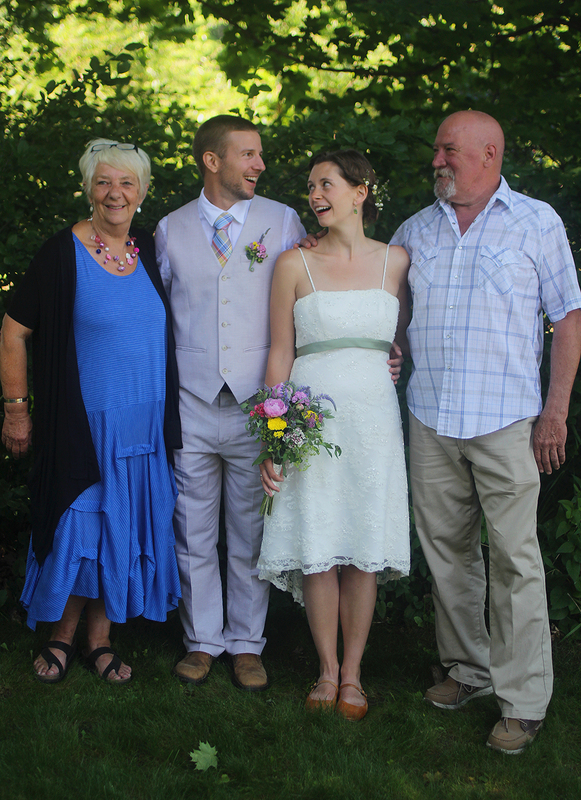 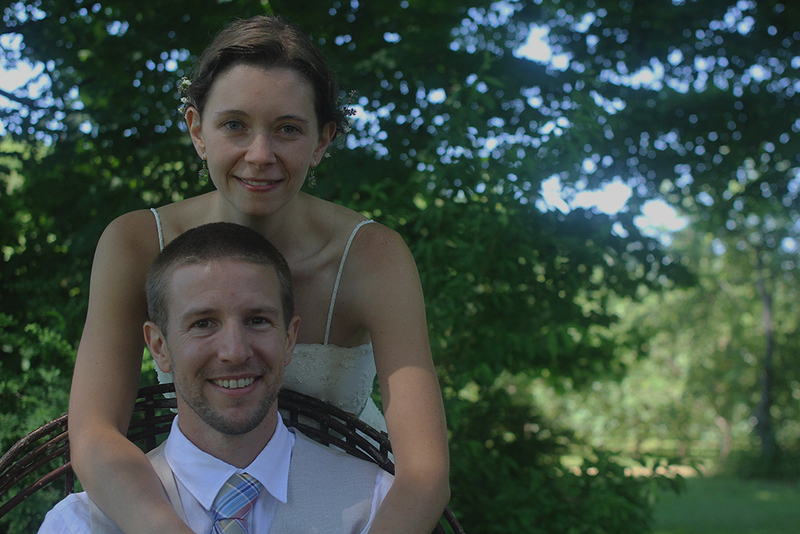 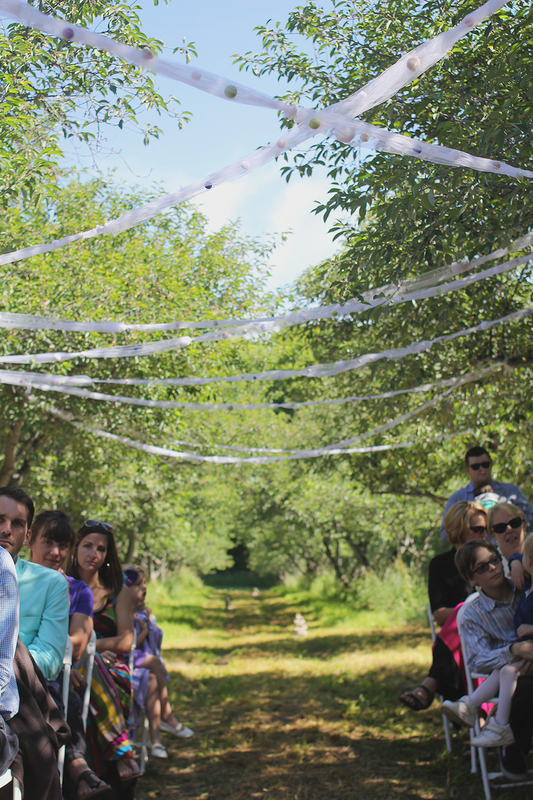 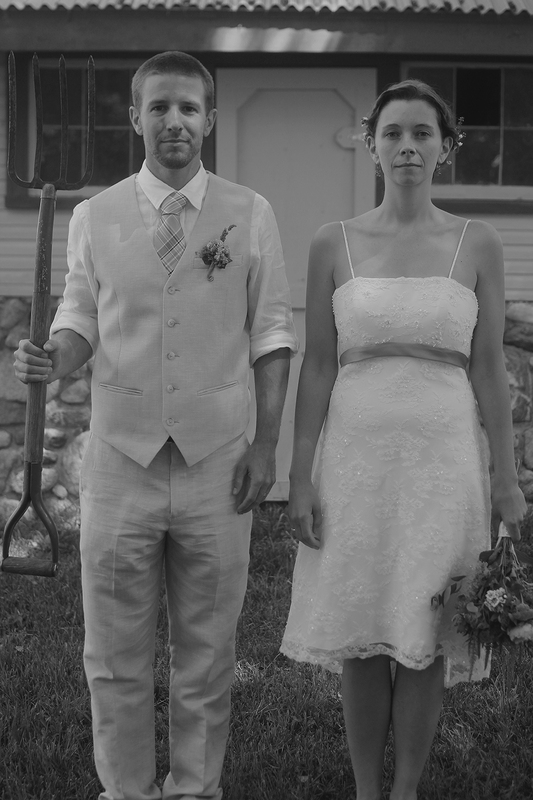 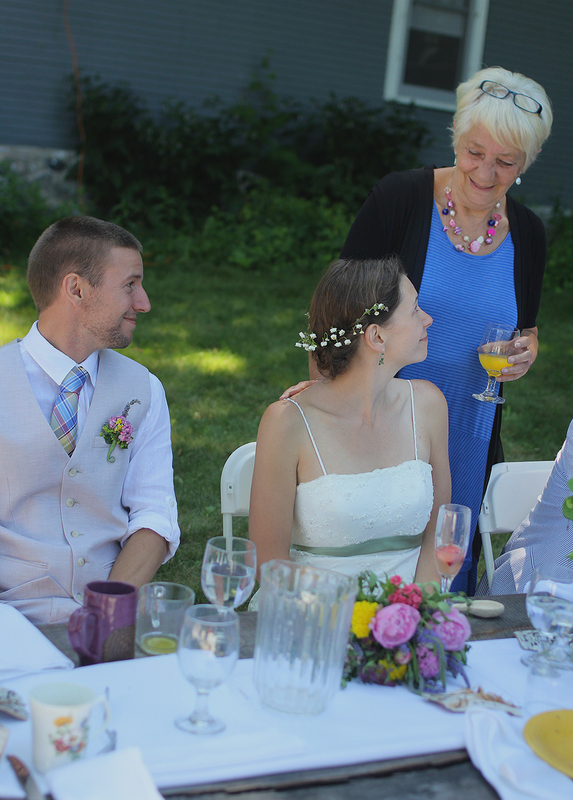 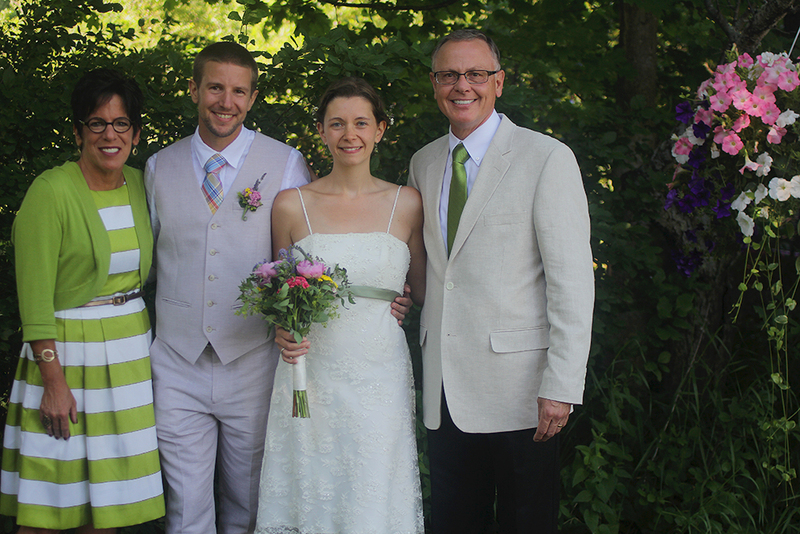 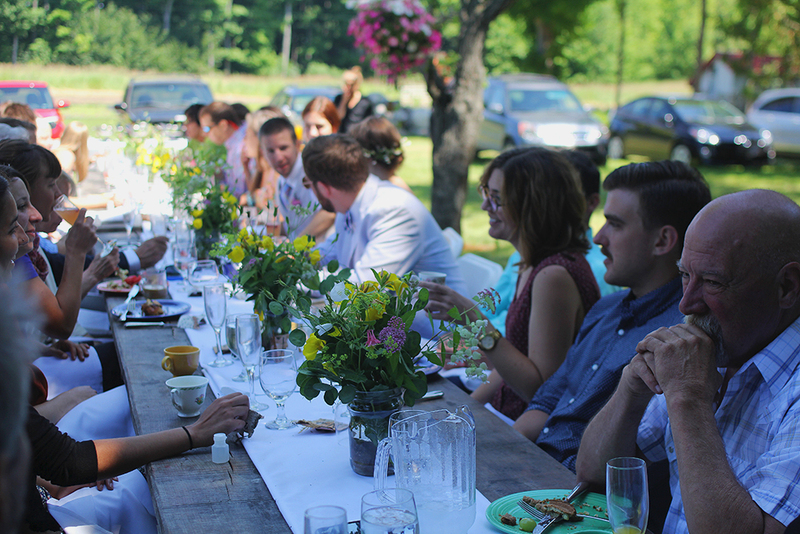 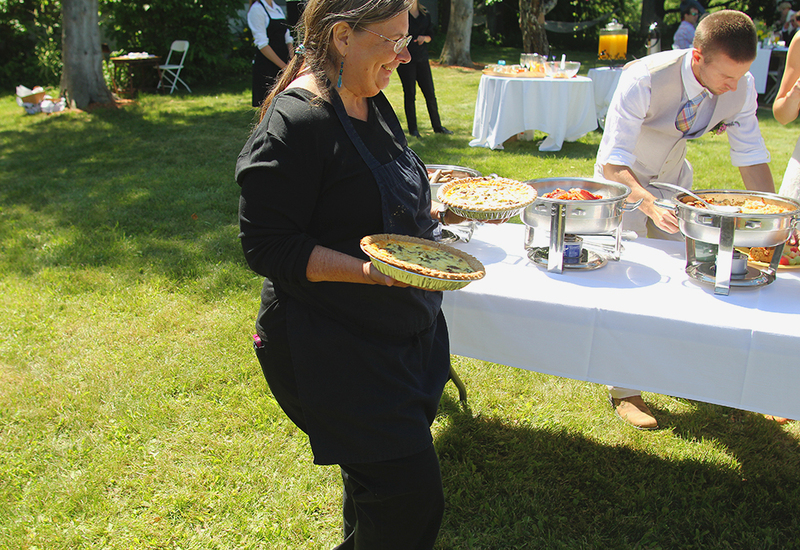 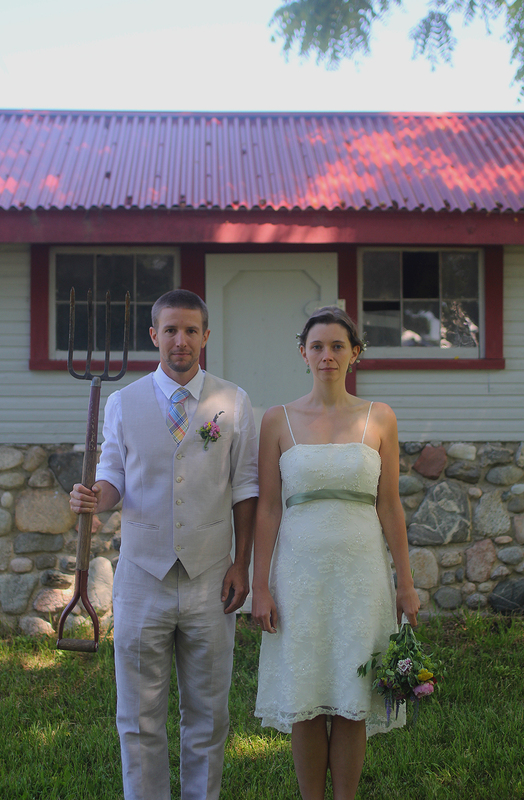 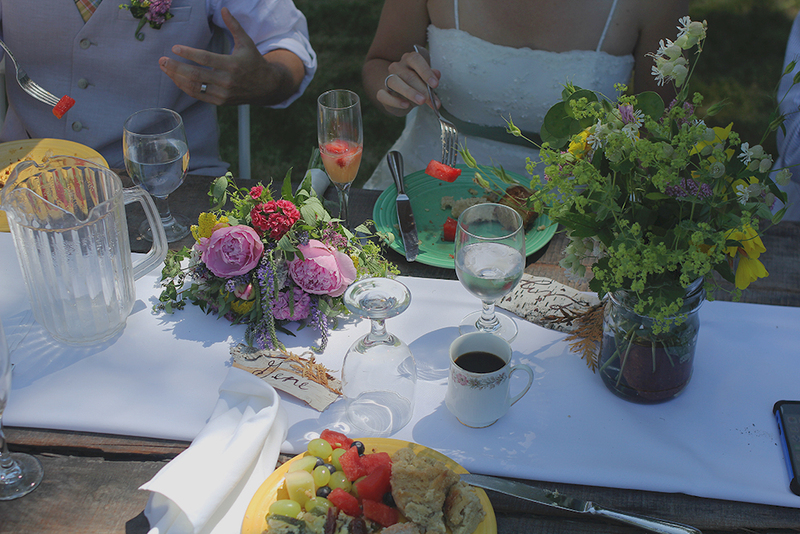 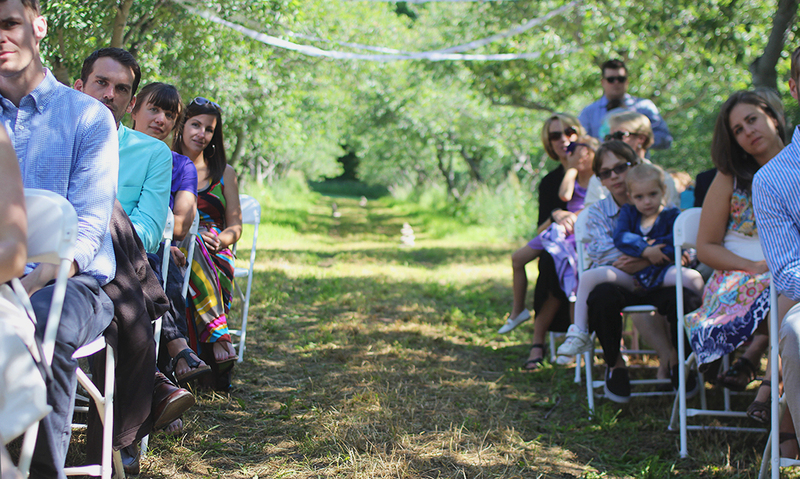 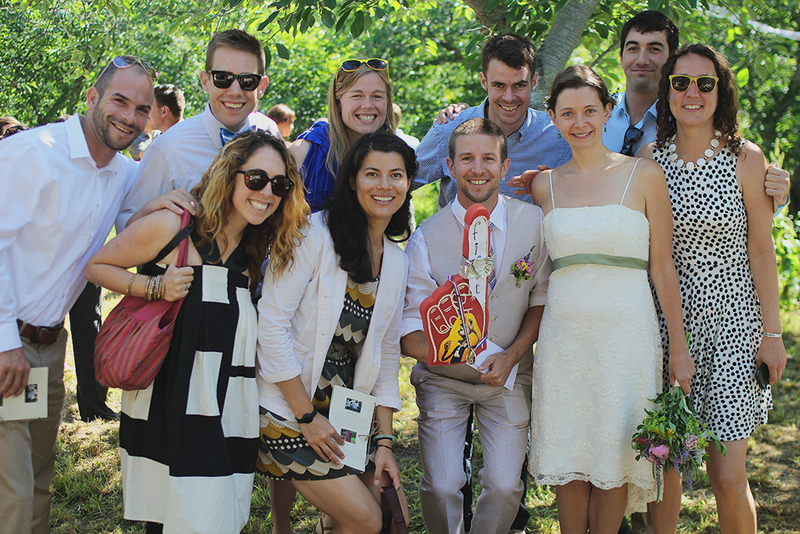 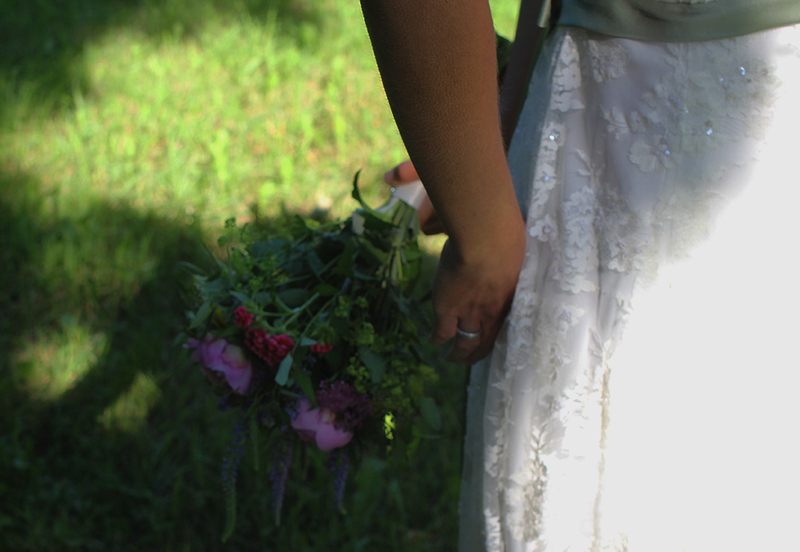 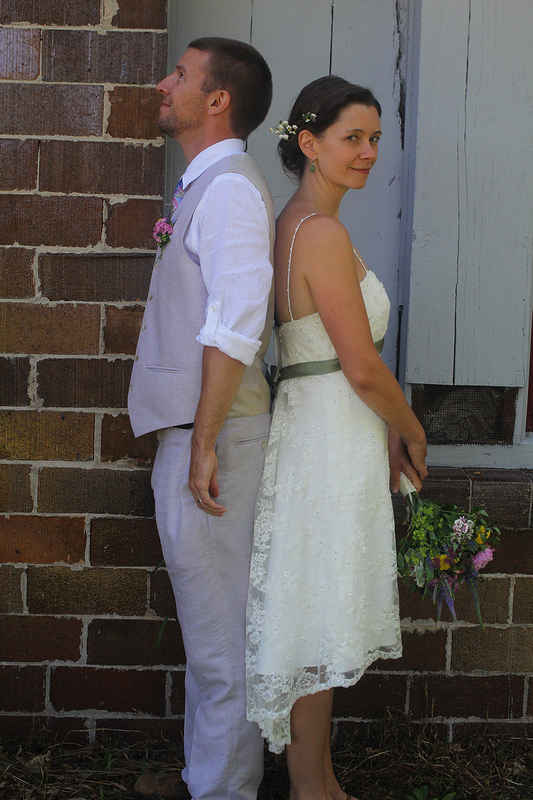 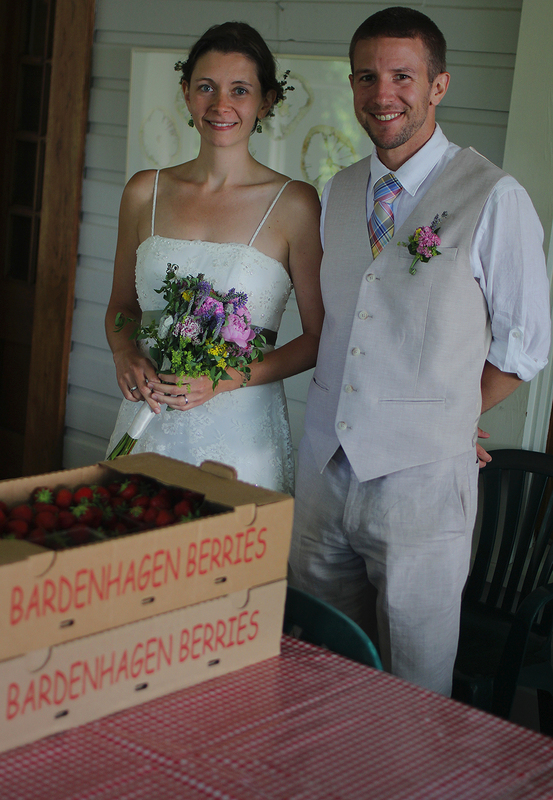 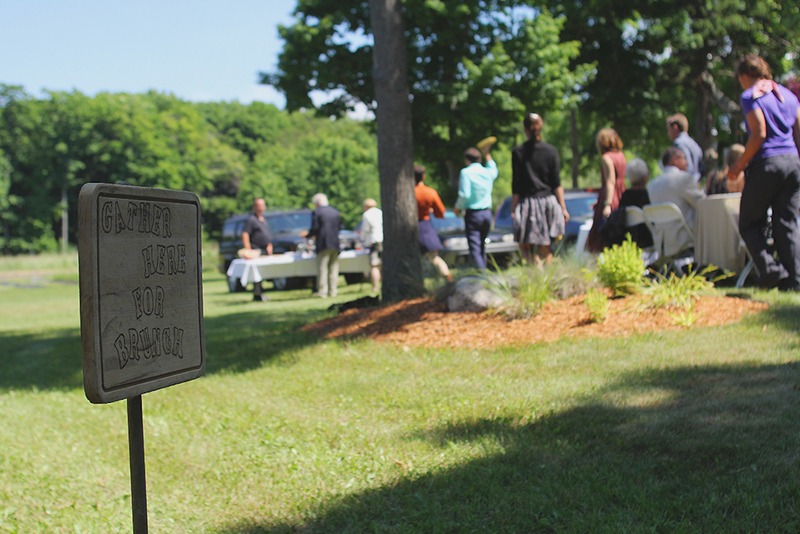 A wedding brunch in a Northport organic cherry farm over 4th of July weekend. 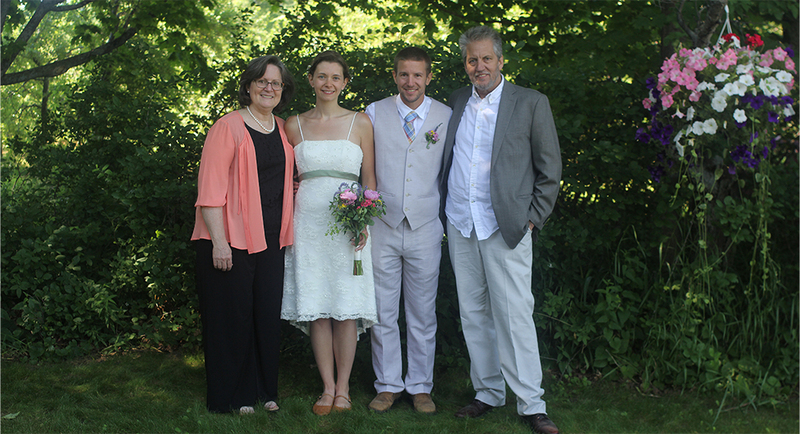 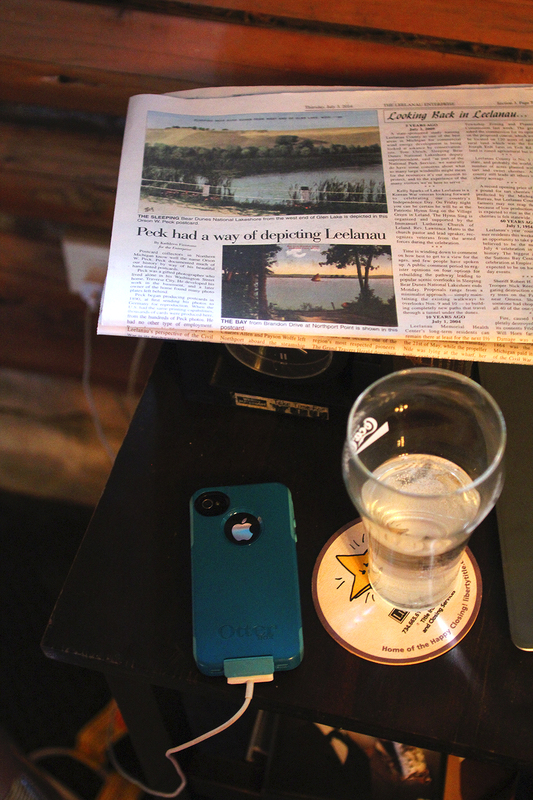 Liz and Phil both graduated from Kalamazoo College (just like me), which is where they met. 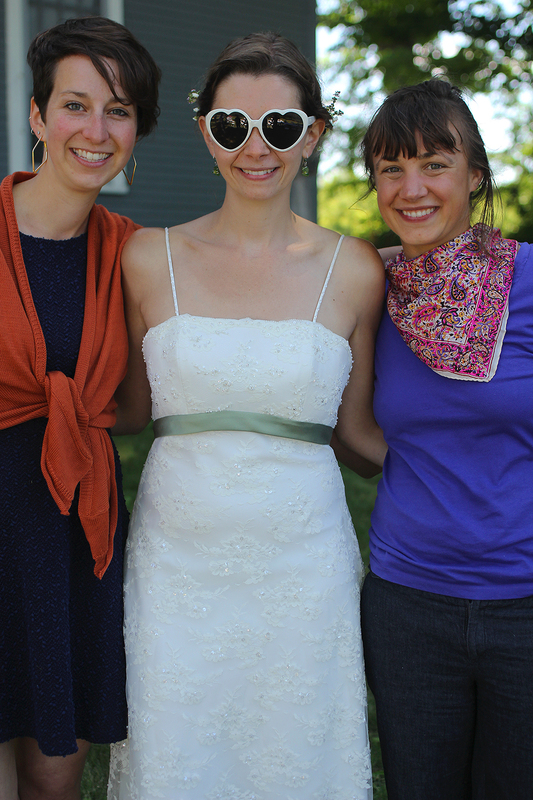 They had some mutual friends, and Liz was actually the T.A. 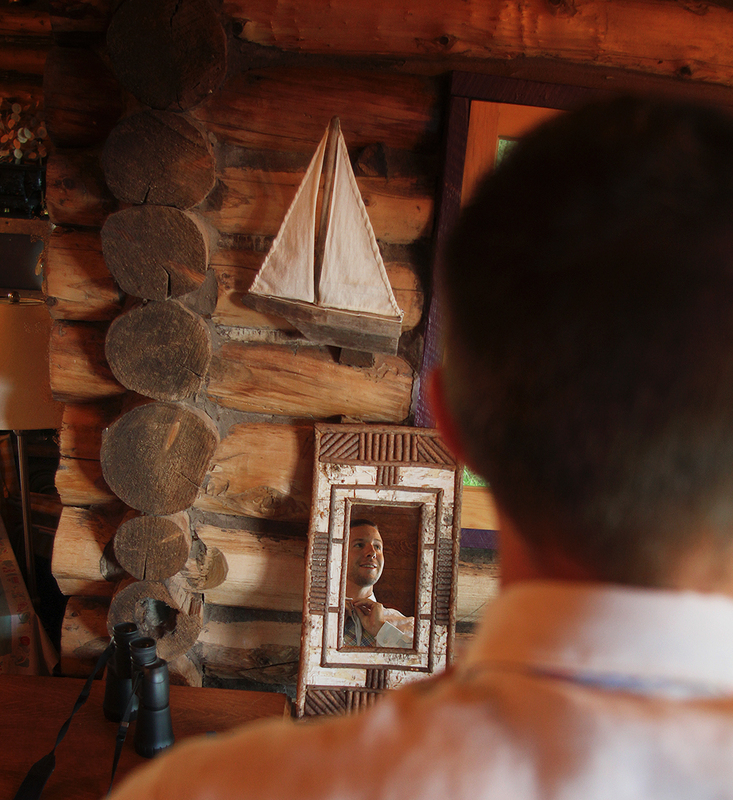 for the ceramics class that Phil was taking. 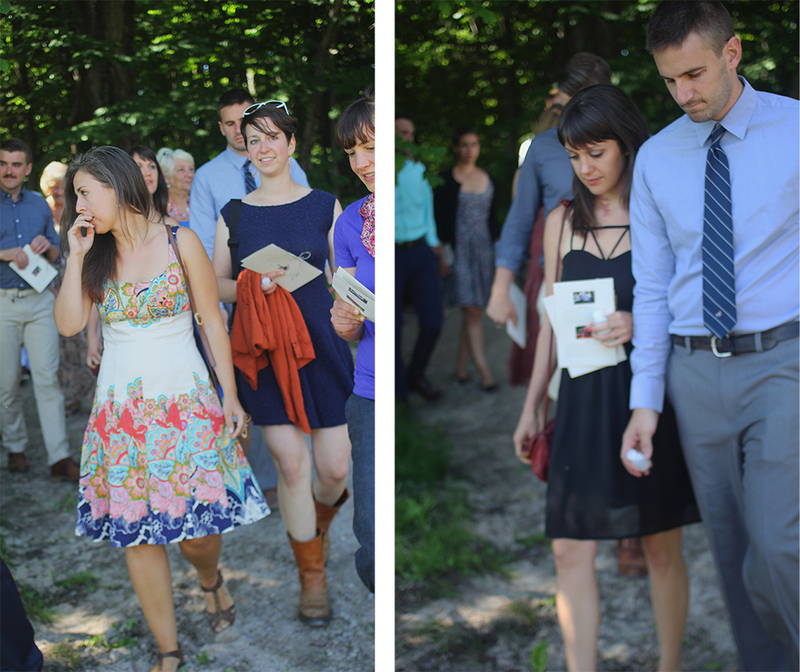 I don’t think that either one of them thought that this was going to be the one that stuck, especially since Phil was graduating and Liz still had a year left, but that’s how it turned out. 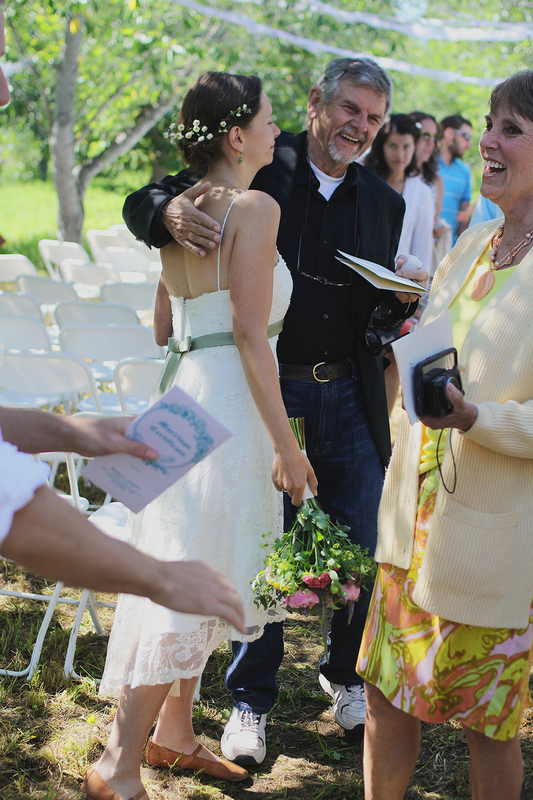 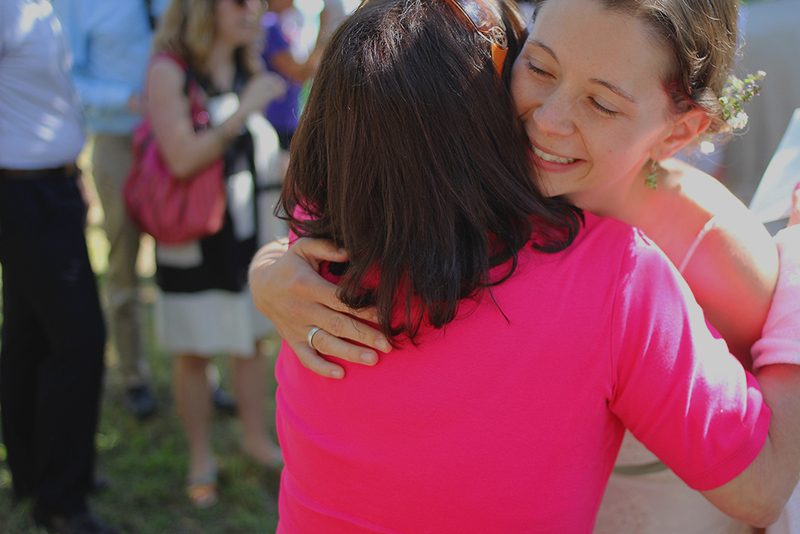 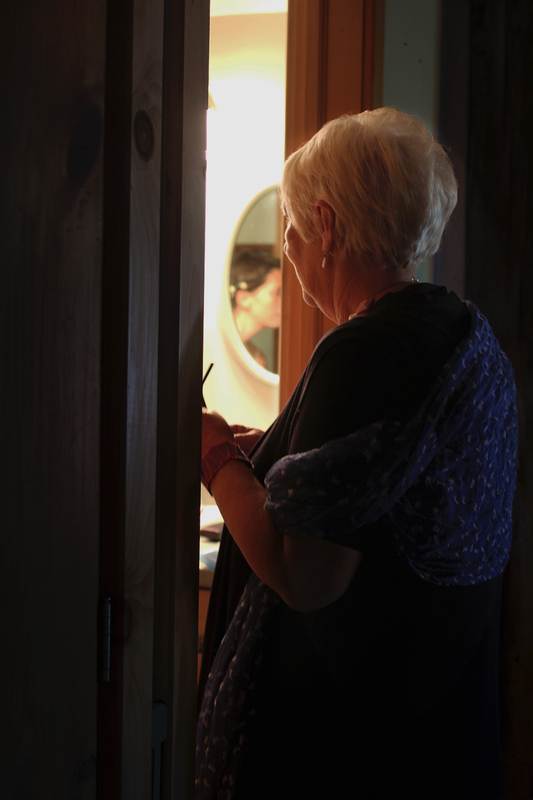 Spend five minutes with Liz and Phil, and you’ll realize just how much they adore each other. 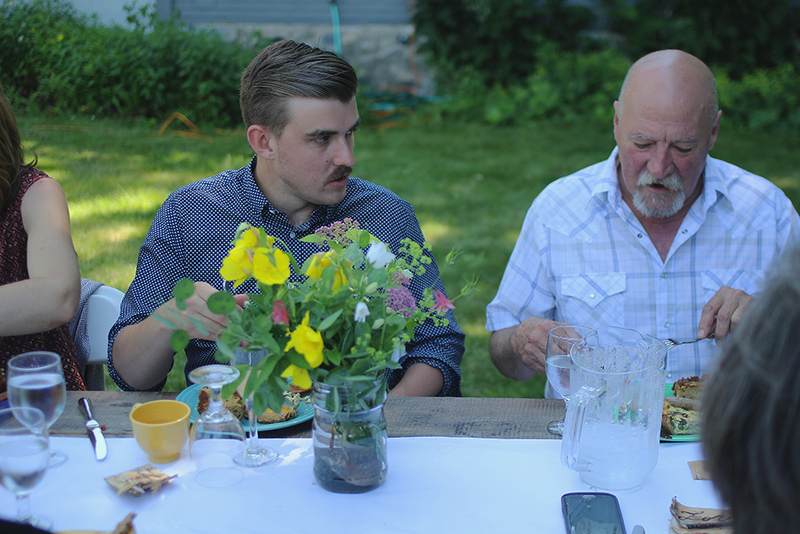 It’s obvious in how they listen to one another intently. 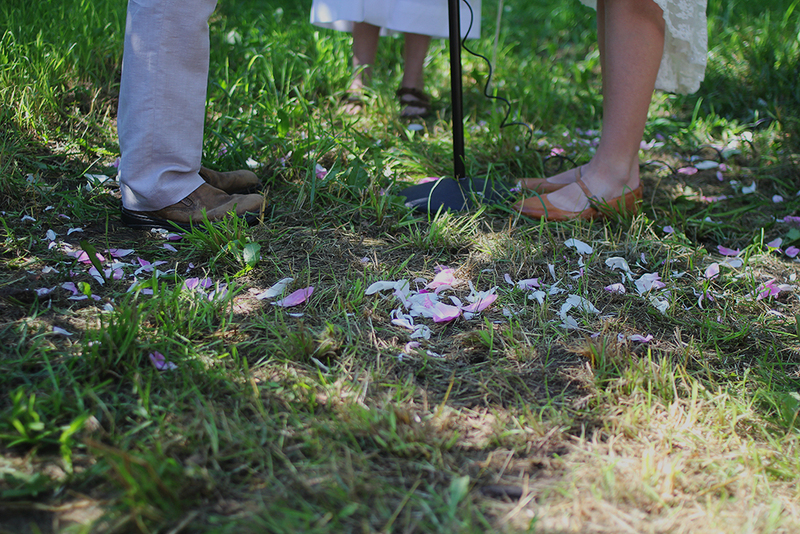 In how each speaks about the other. 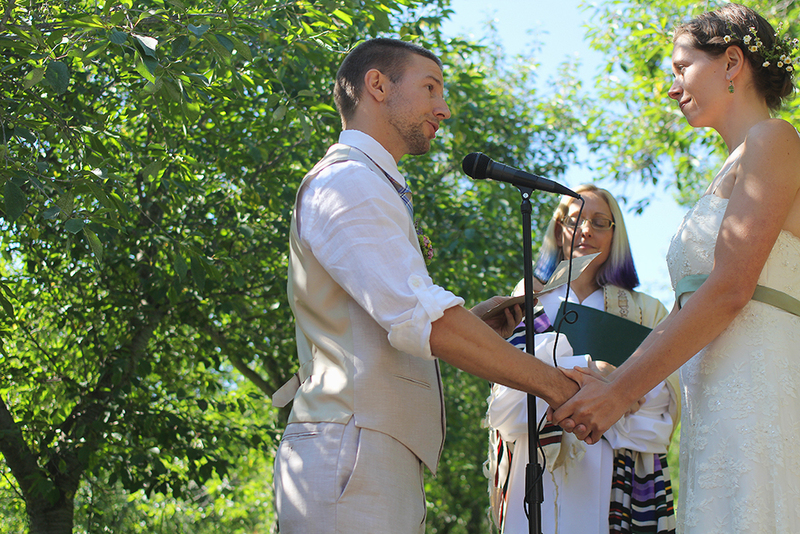 In how both of them cried their entire way through their vows. 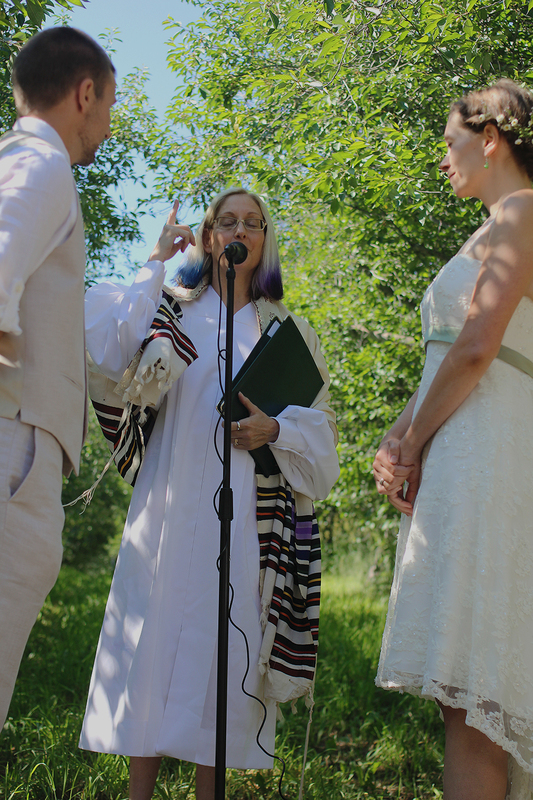 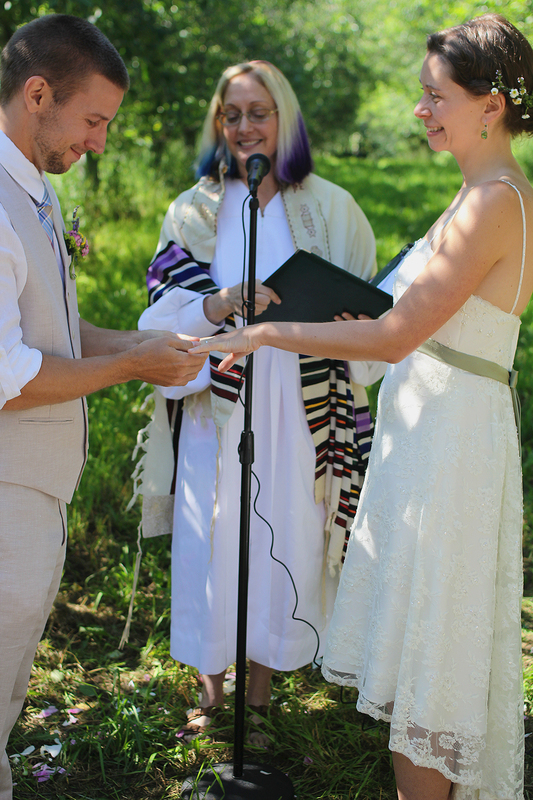 I was fortunate enough to shoot Liz and Phil’s wedding, which was quite nontraditional: no wedding party, a small morning ceremony that was followed by an even smaller brunch, and a female rabbi with blue hair who performed their ceremony! 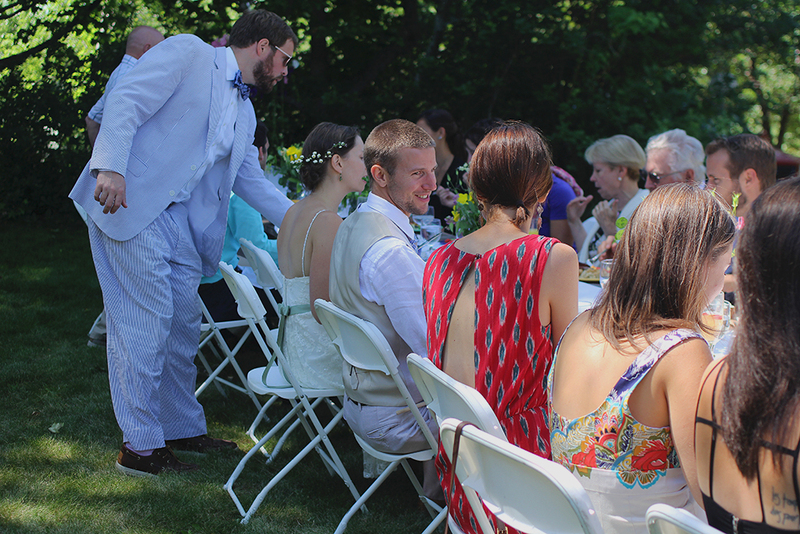 They took a break in the afternoon, and then everyone came back later that night for barbecue and dancing. 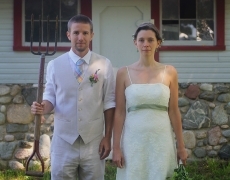 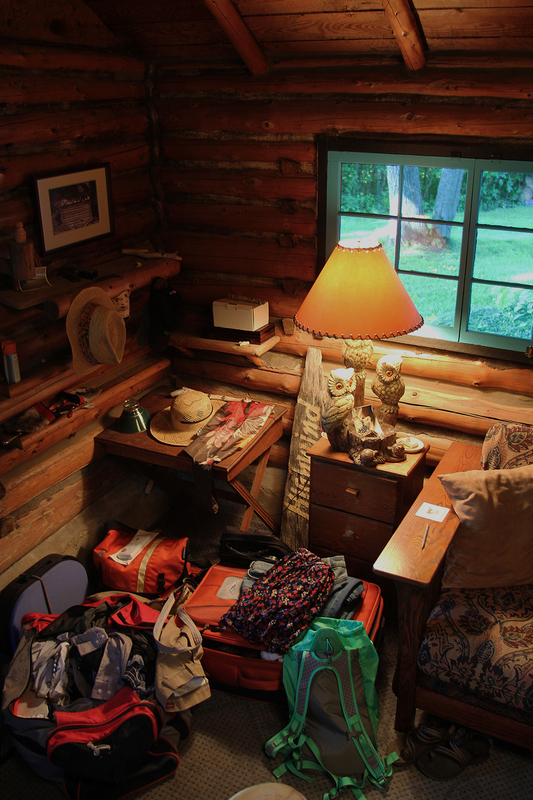 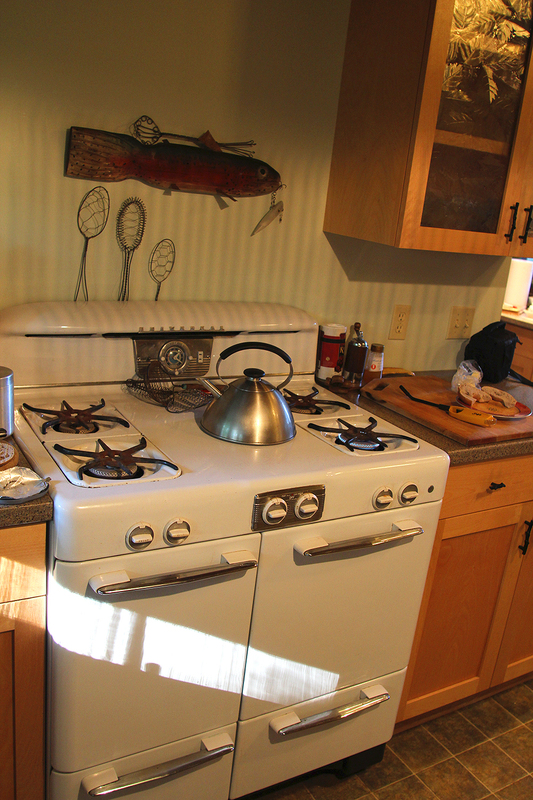 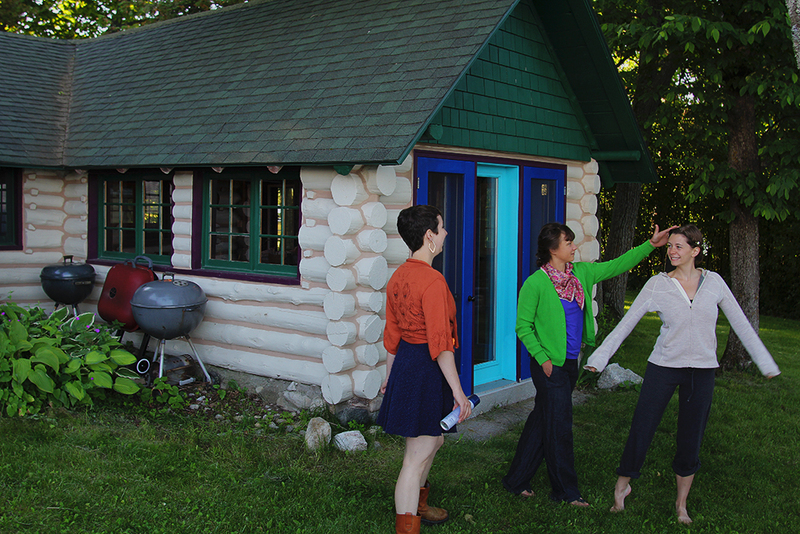 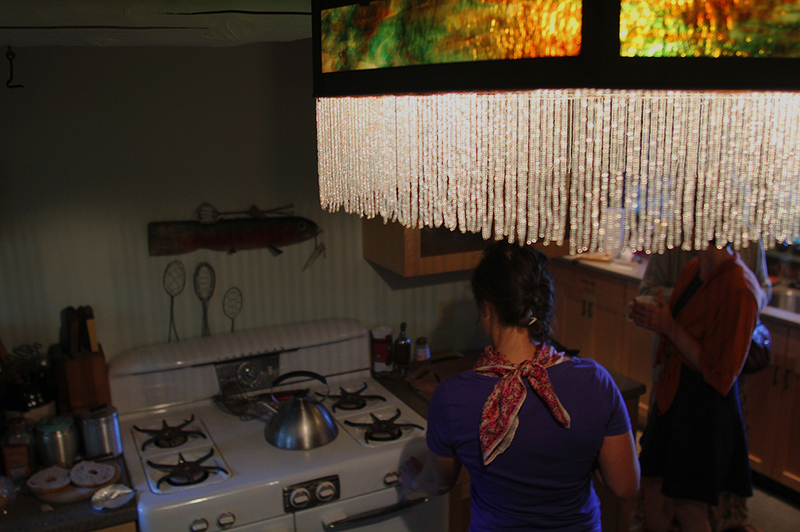 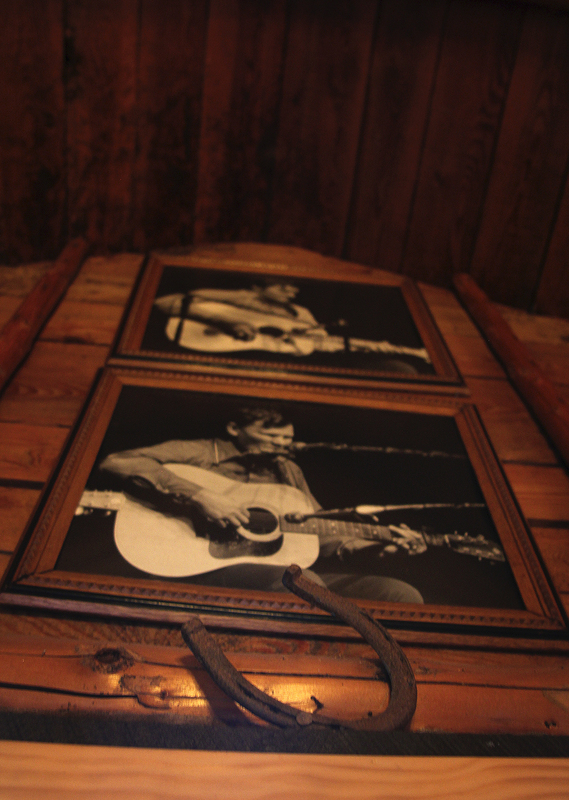 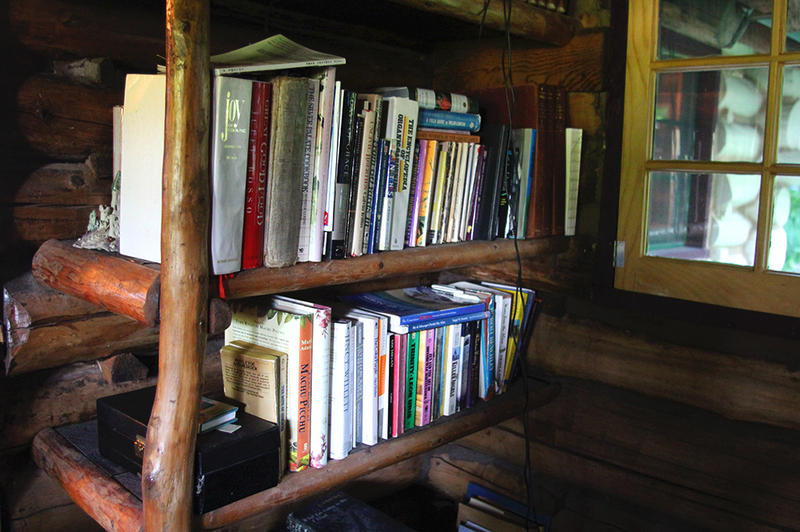 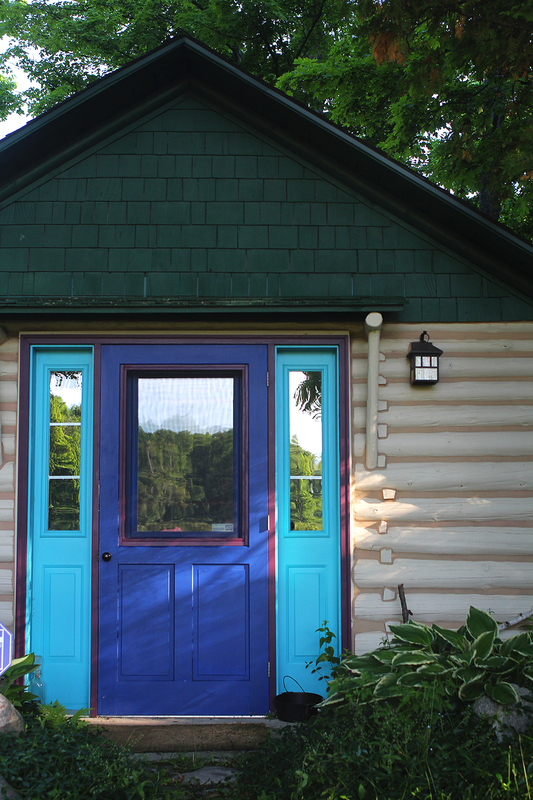 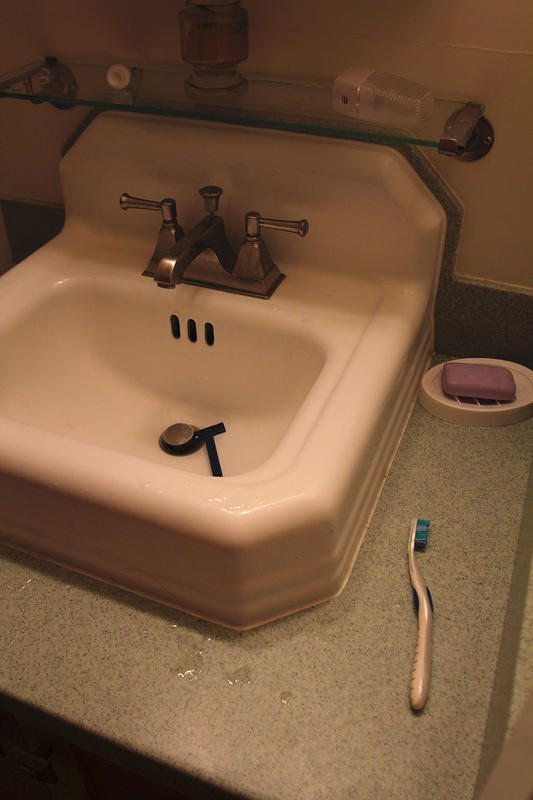 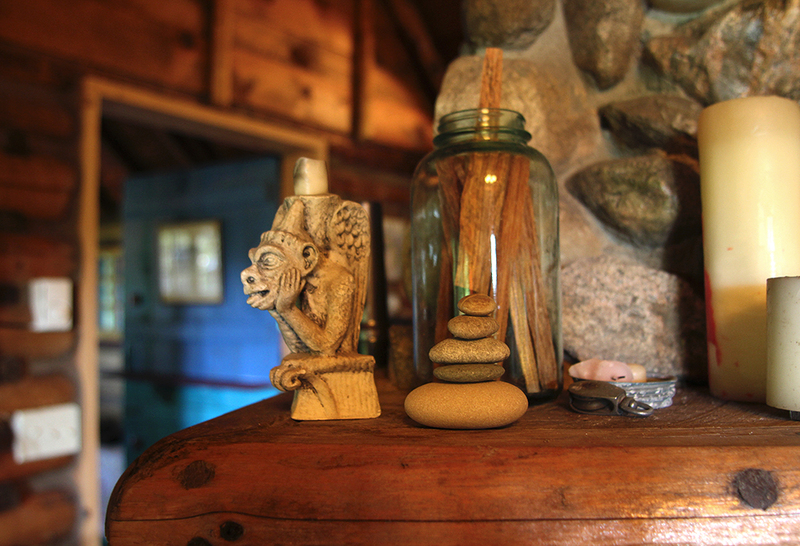 The couple and their friends tried to make almost everything or source it locally. 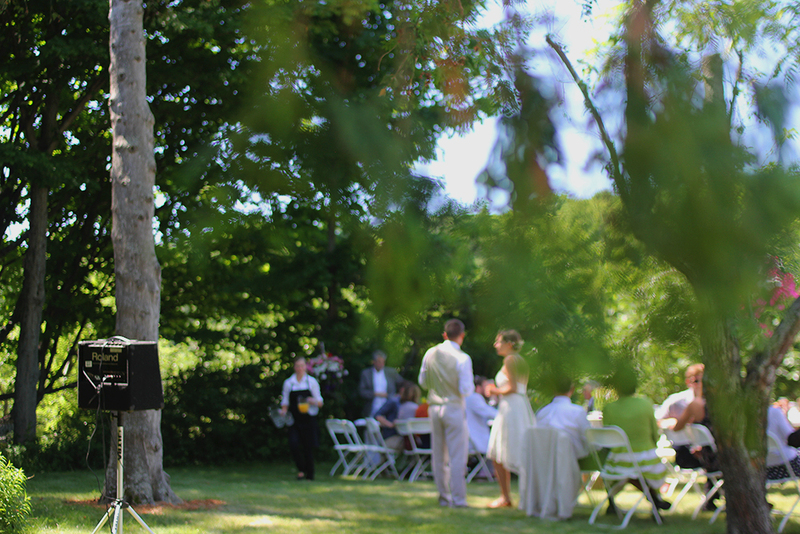 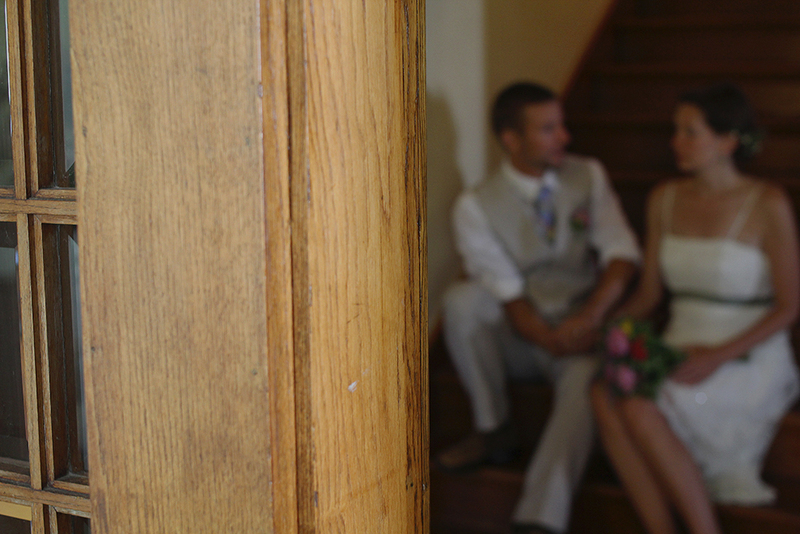 Liz and Phil wanted it to be a true destination wedding, with Northport as the destination: friends and family came in from out of town and stayed at cottages in and around the small town of 526. 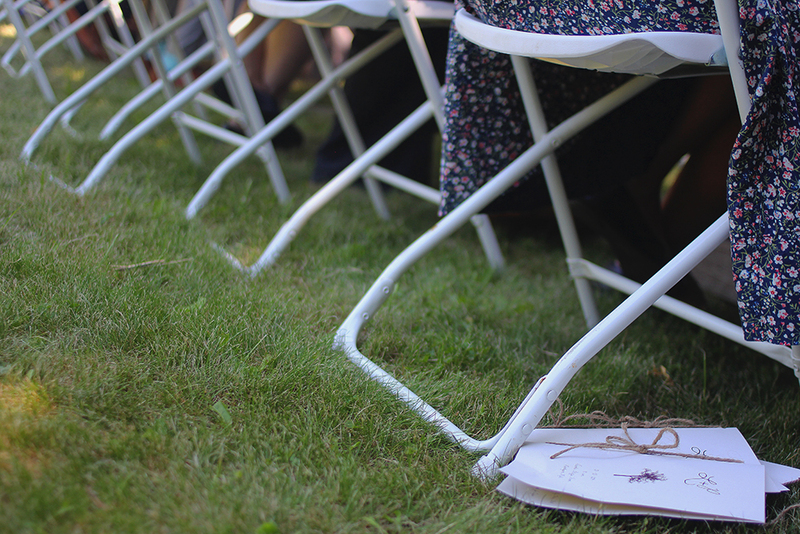 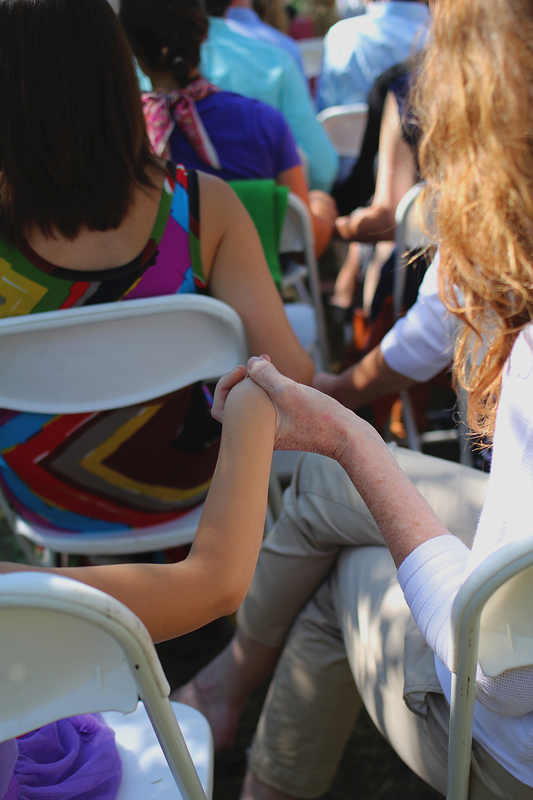 The wedding was on July 3, so the town was all gussied up for its annual Independence Day celebration: there seriously is nothing cuter or more Norman Rockwell-y than that. 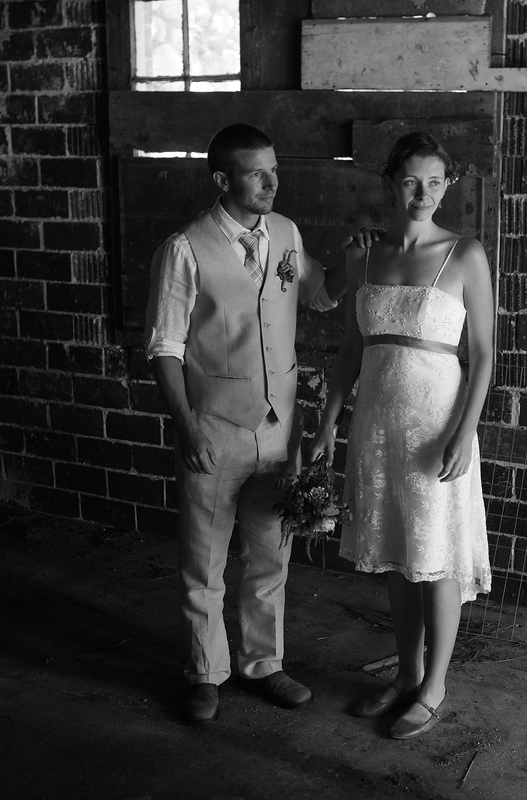 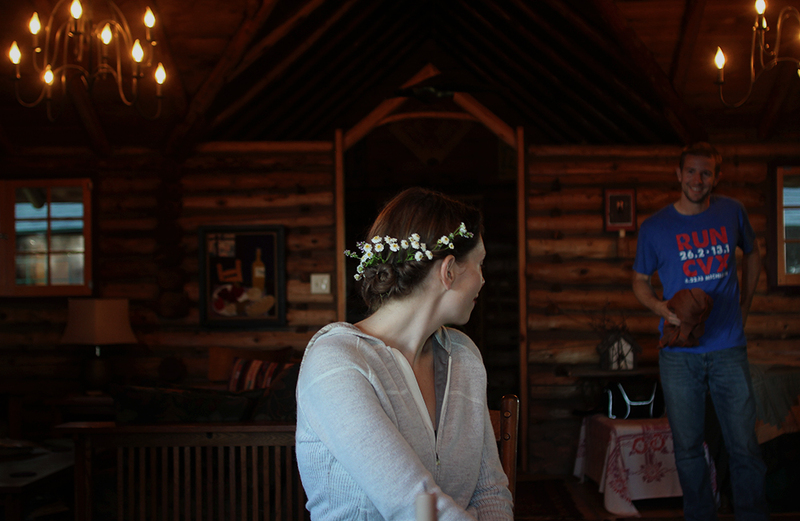 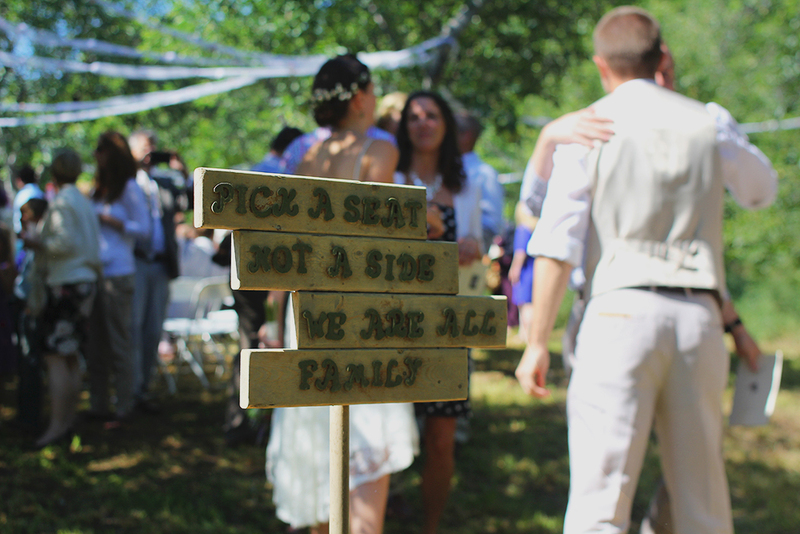 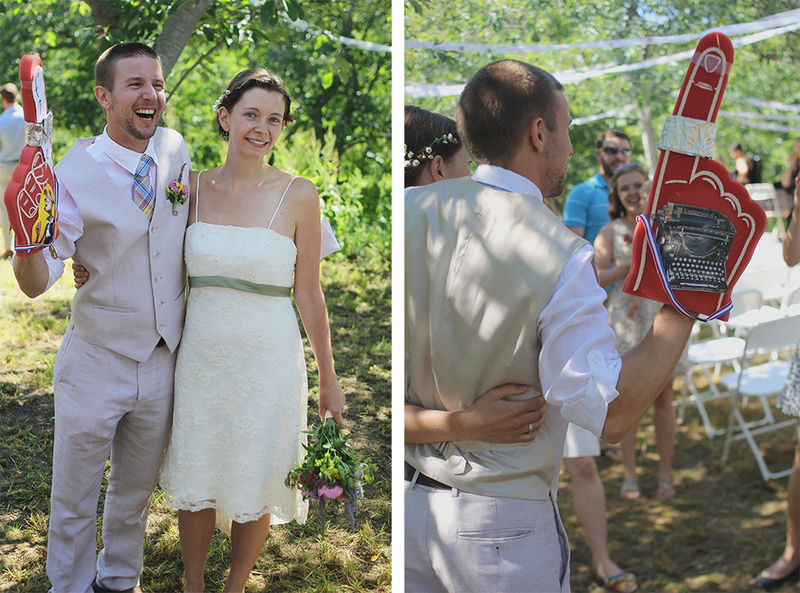 I loved — and just might steal — their idea for a morning ceremony. 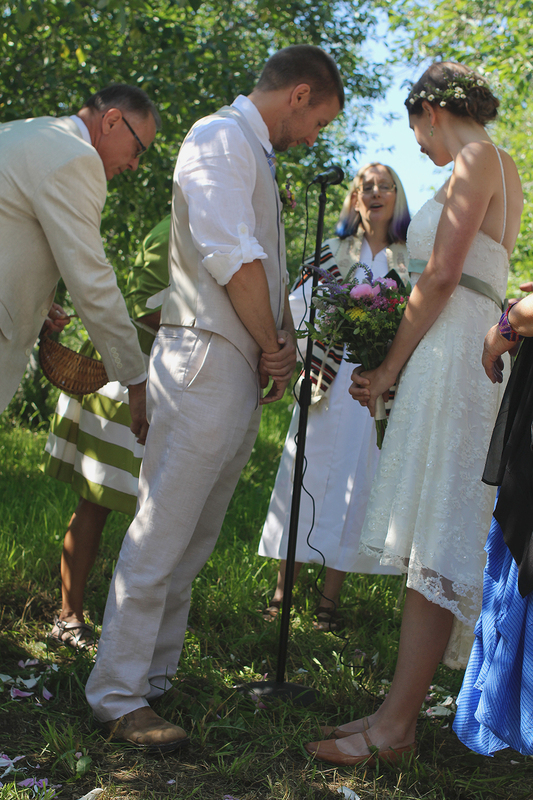 It may seem odd at first, but it worked out *so* well for all involved, I think. 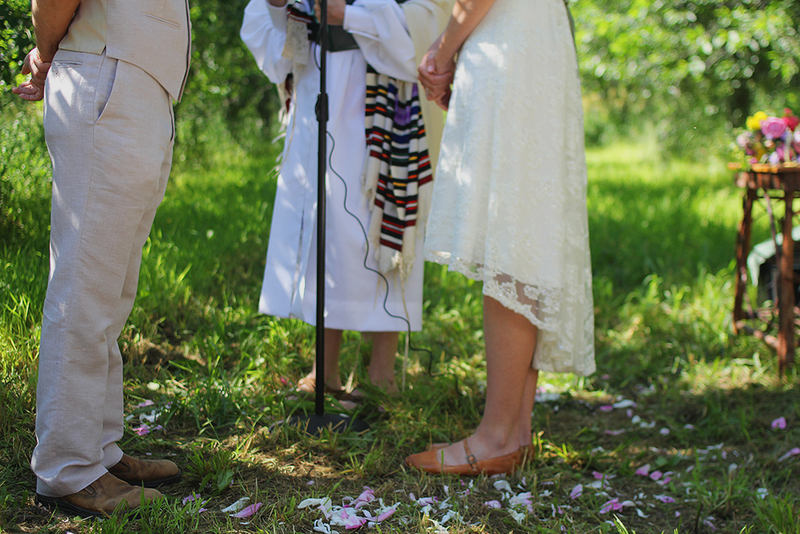 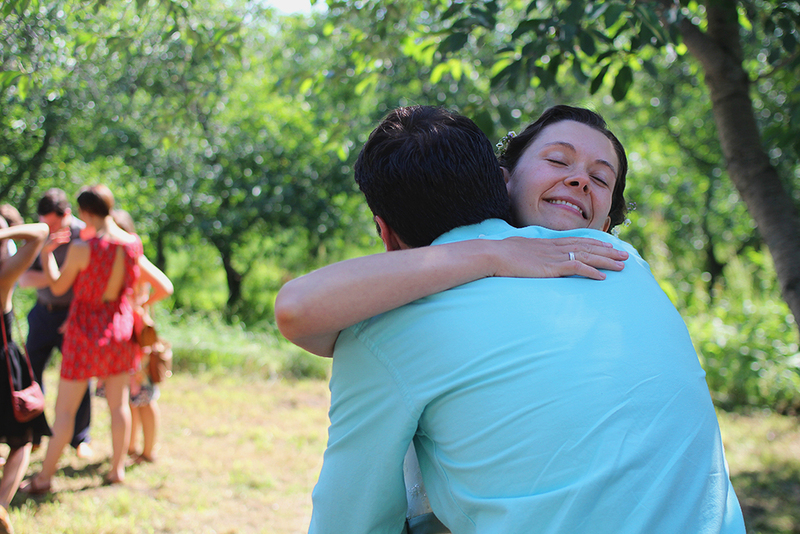 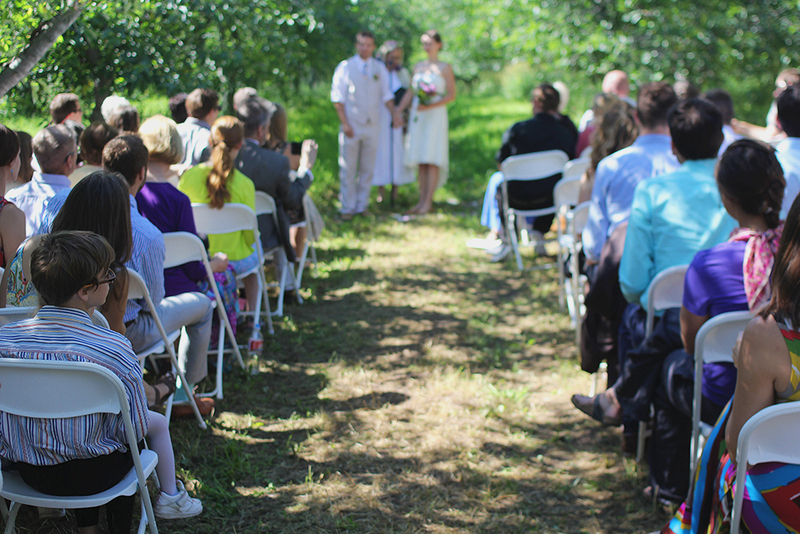 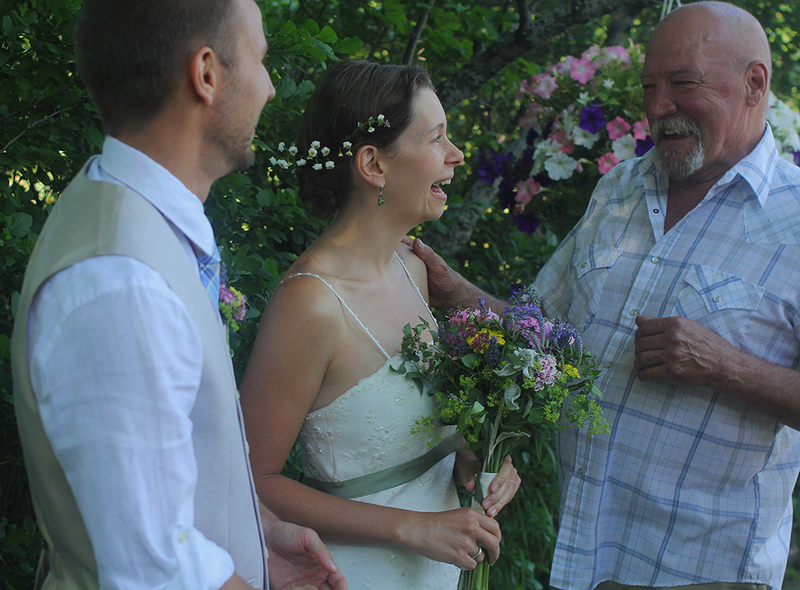 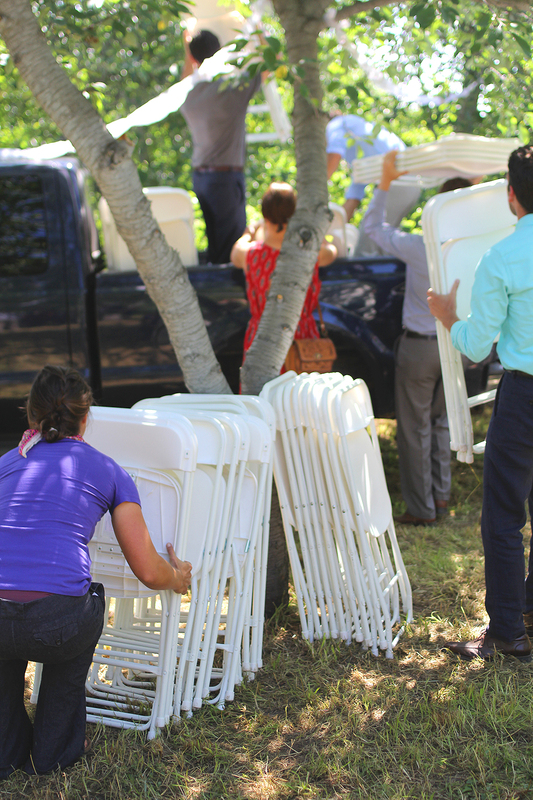 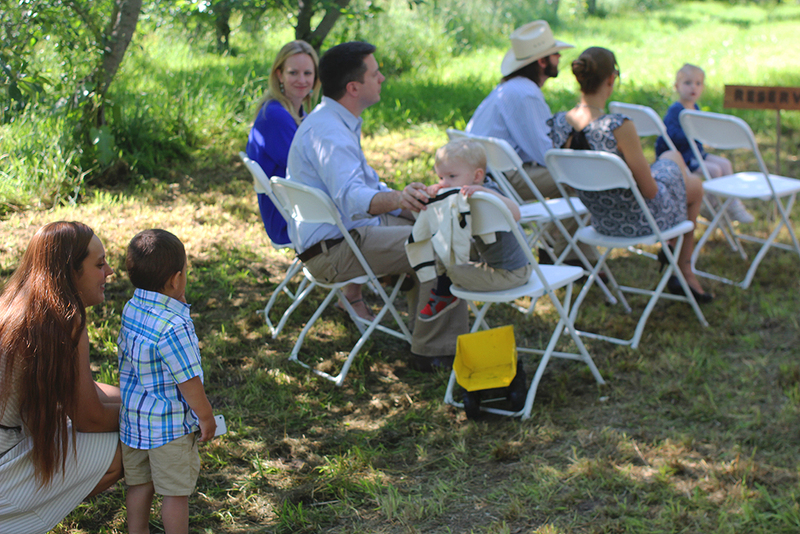 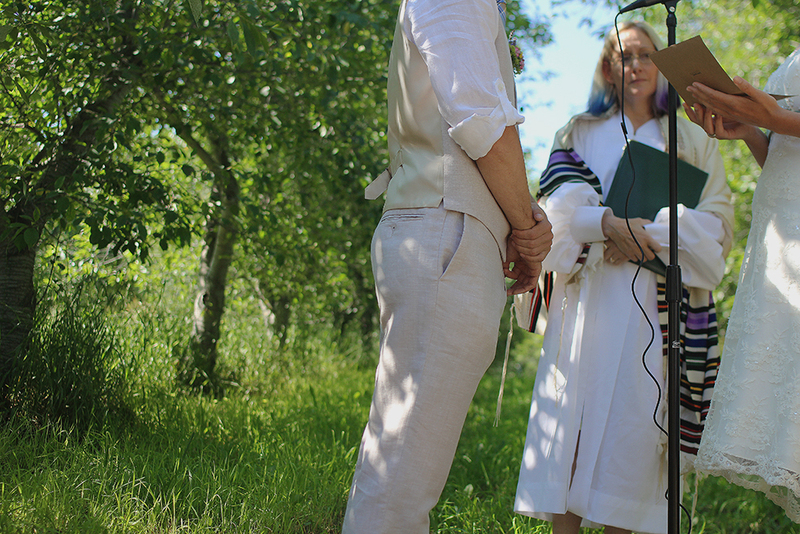 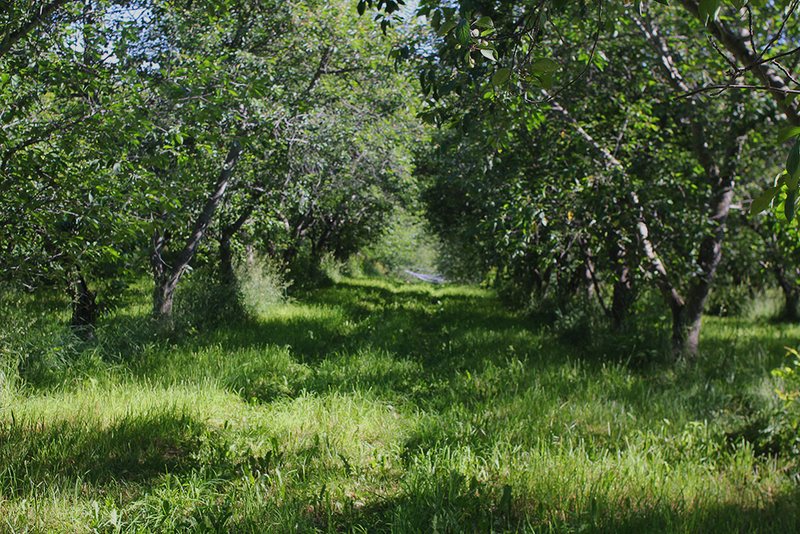 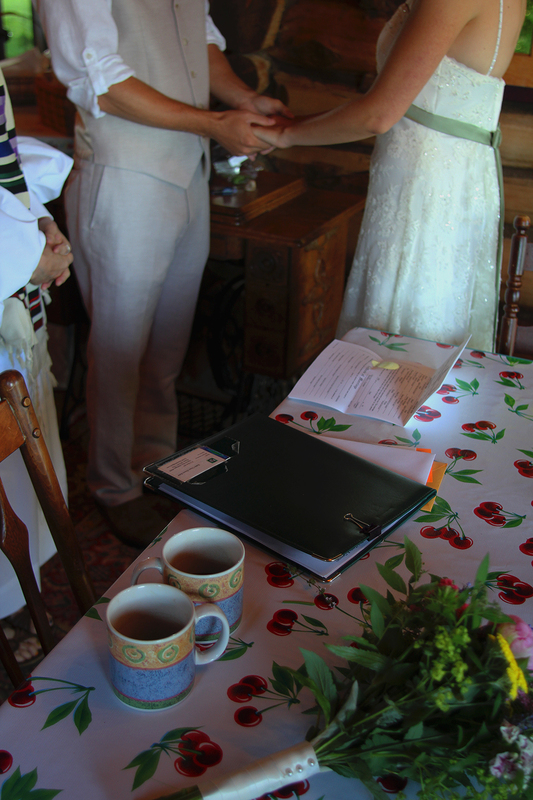 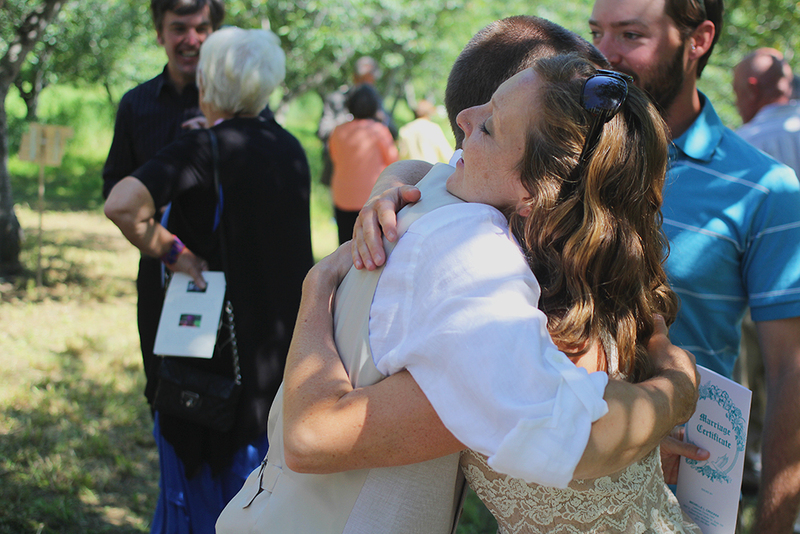 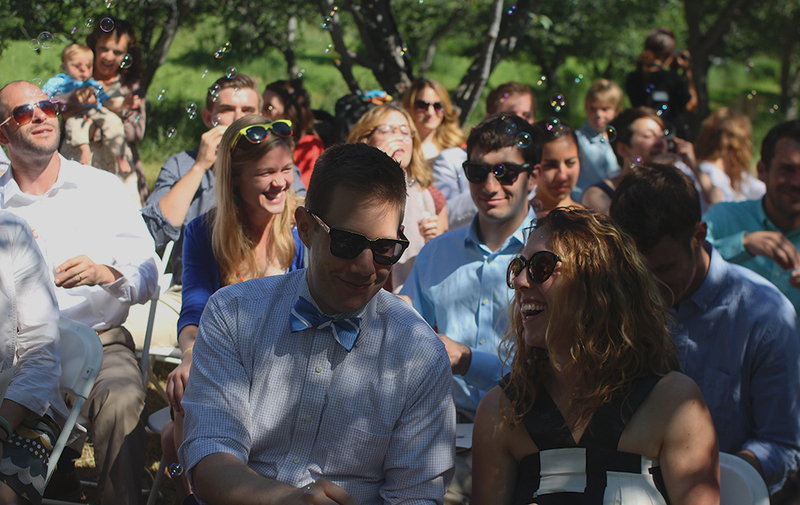 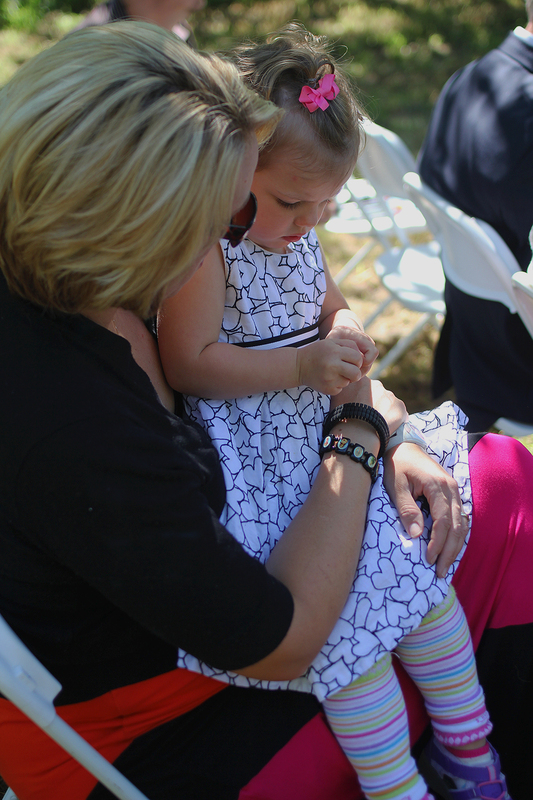 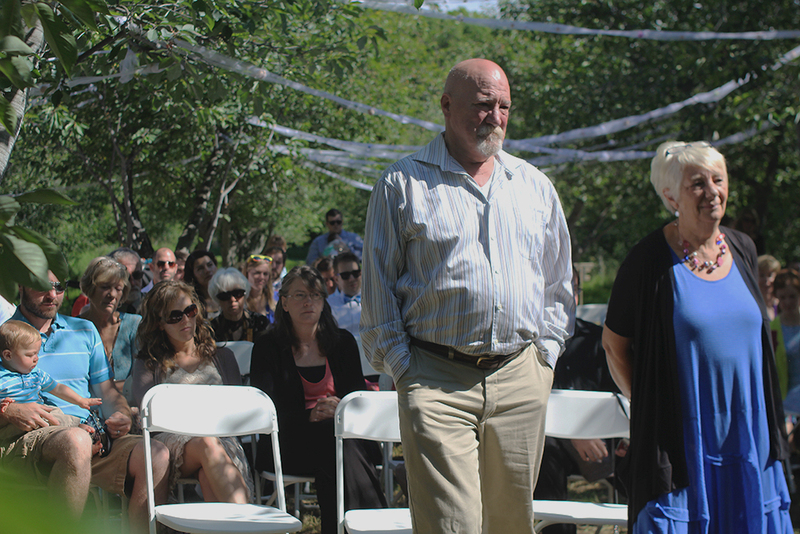 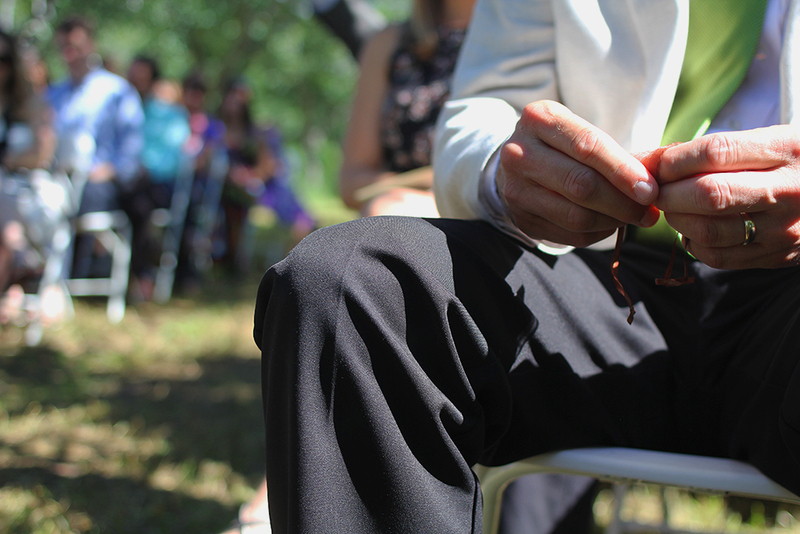 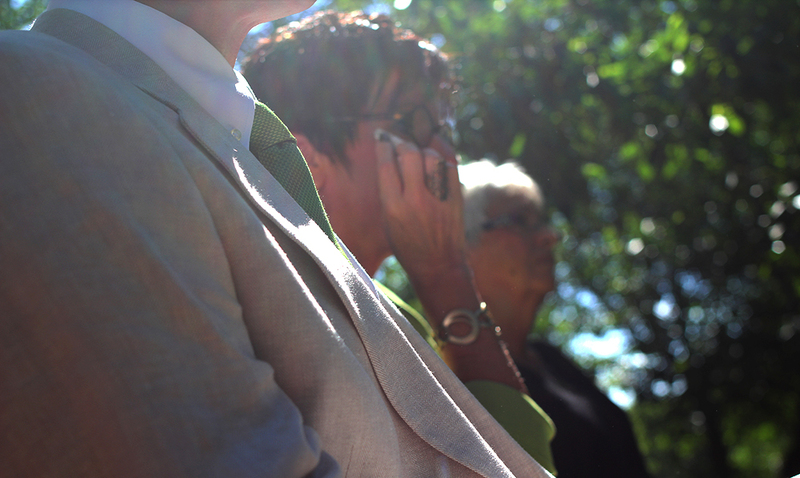 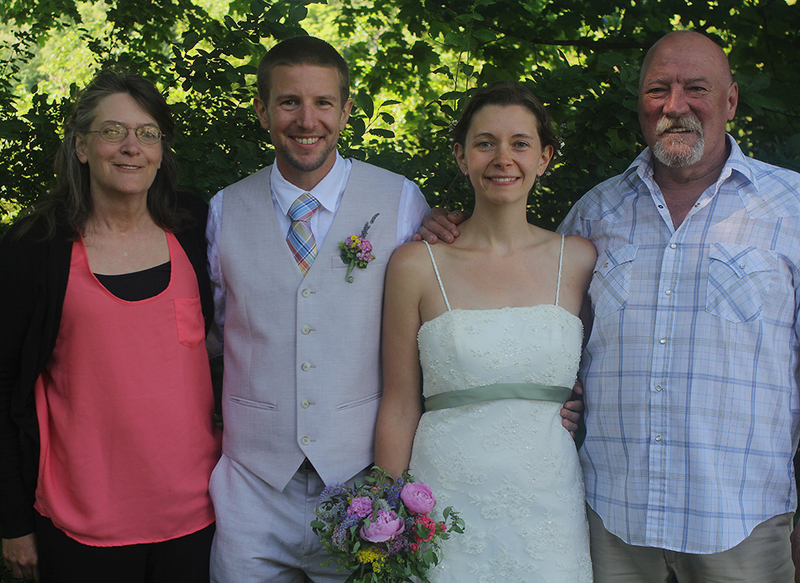 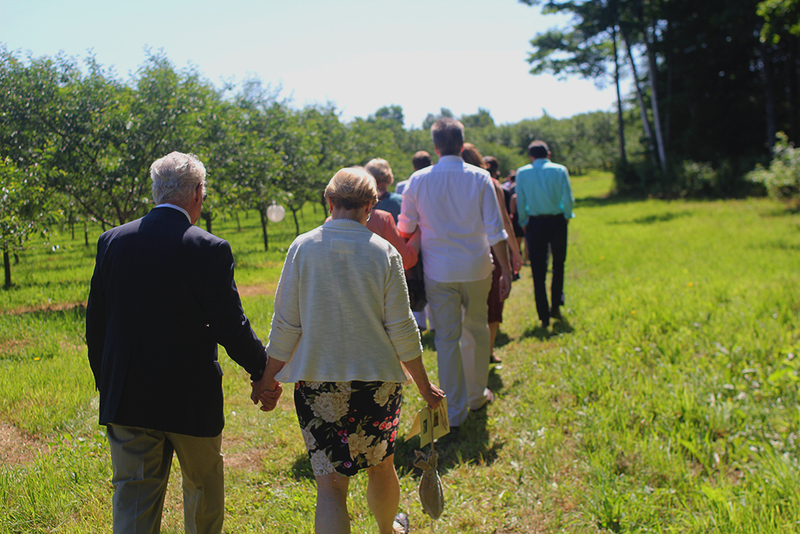 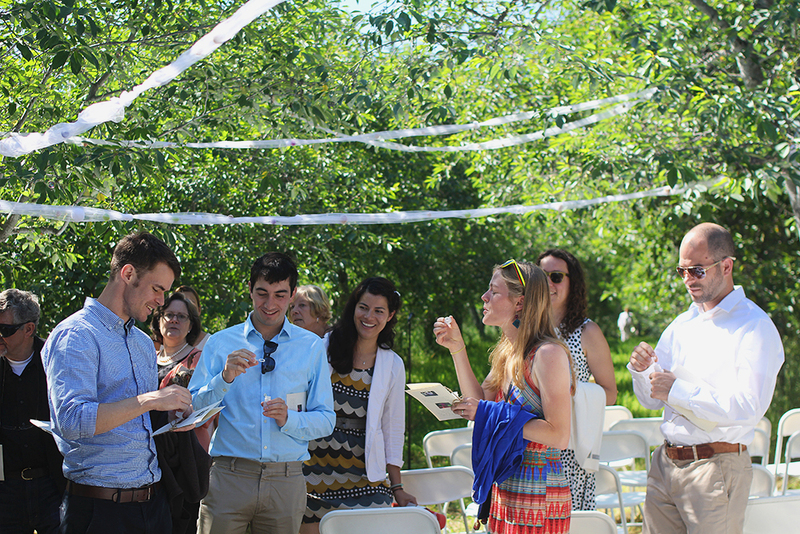 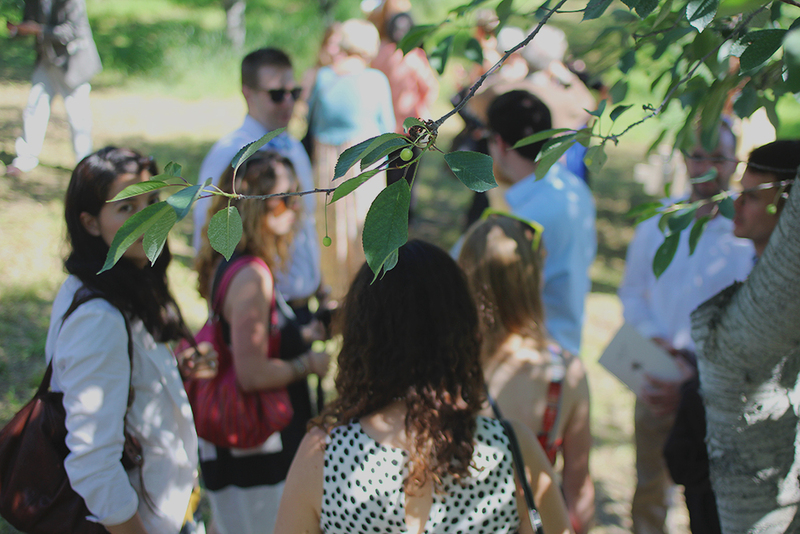 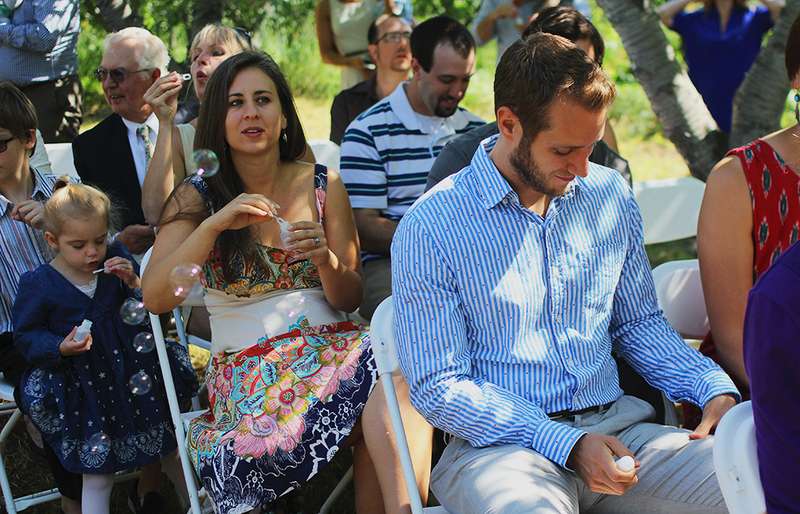 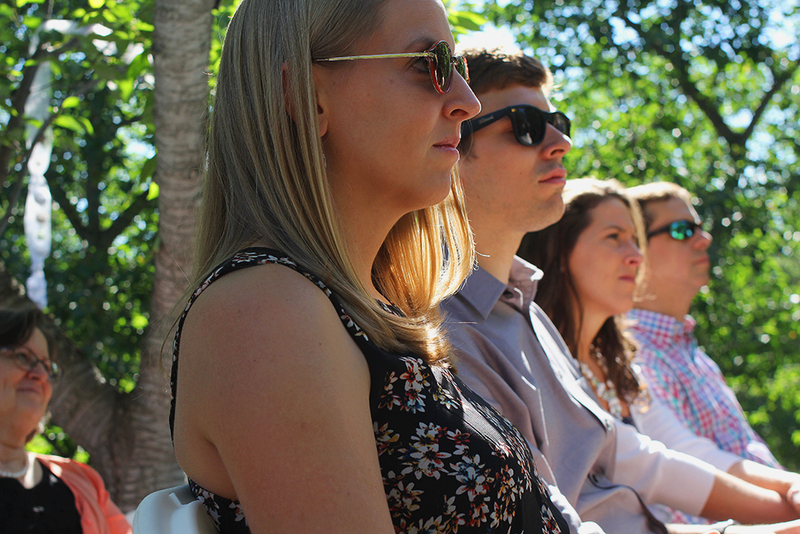 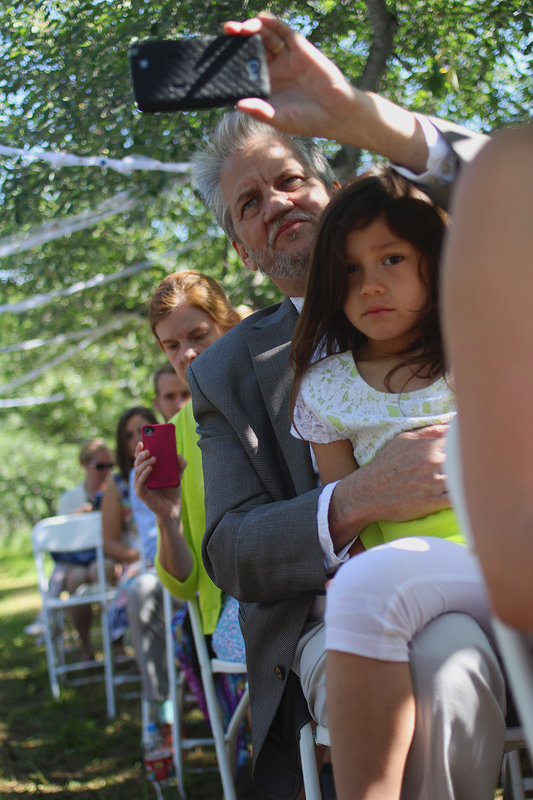 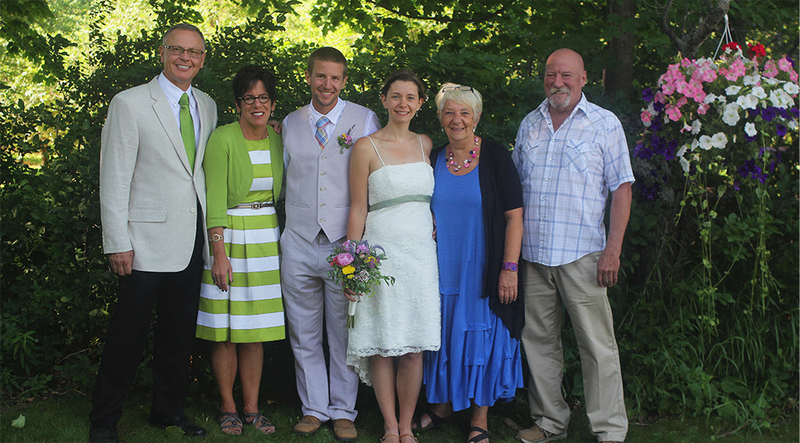 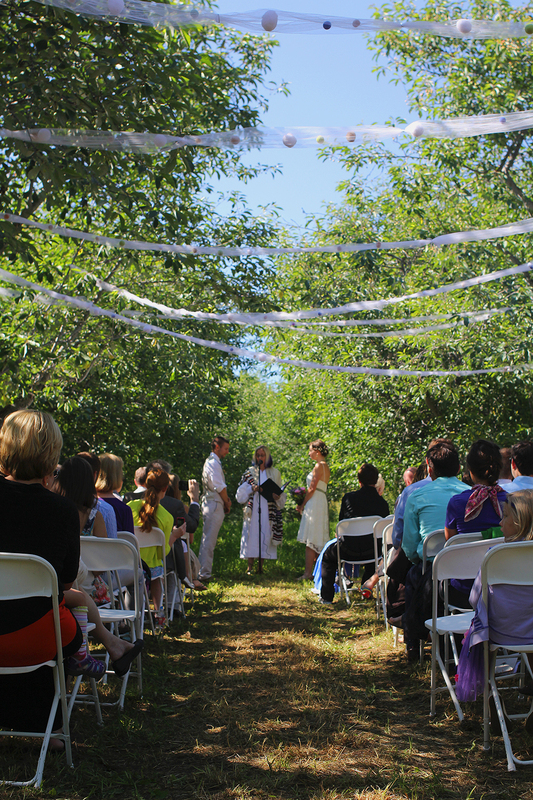 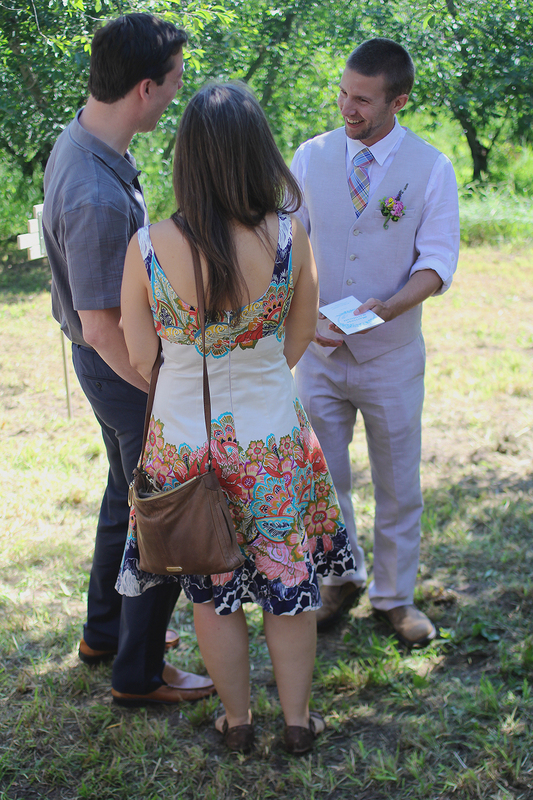 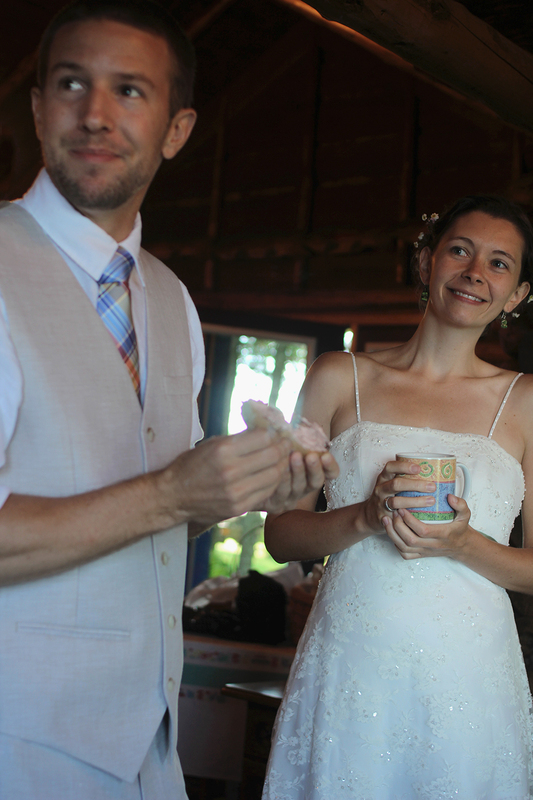 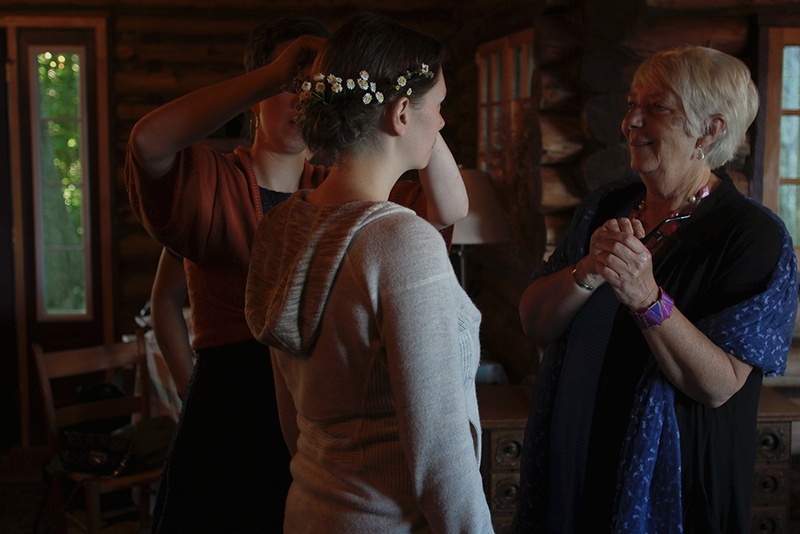 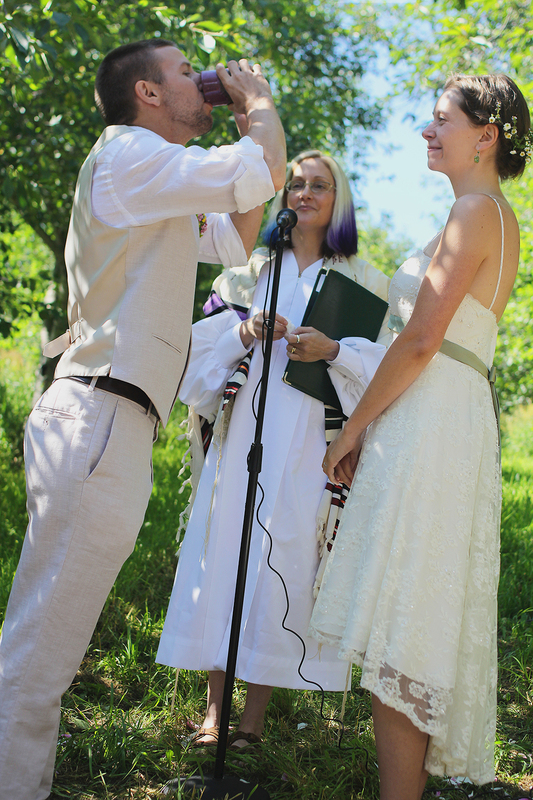 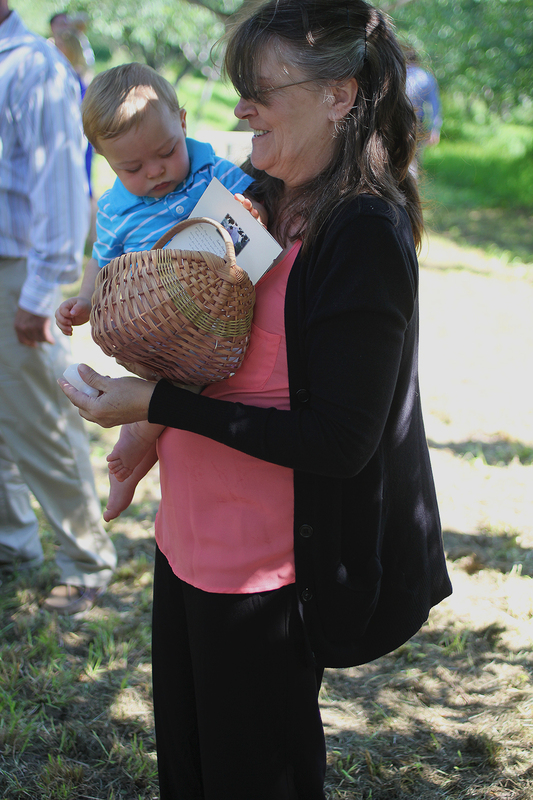 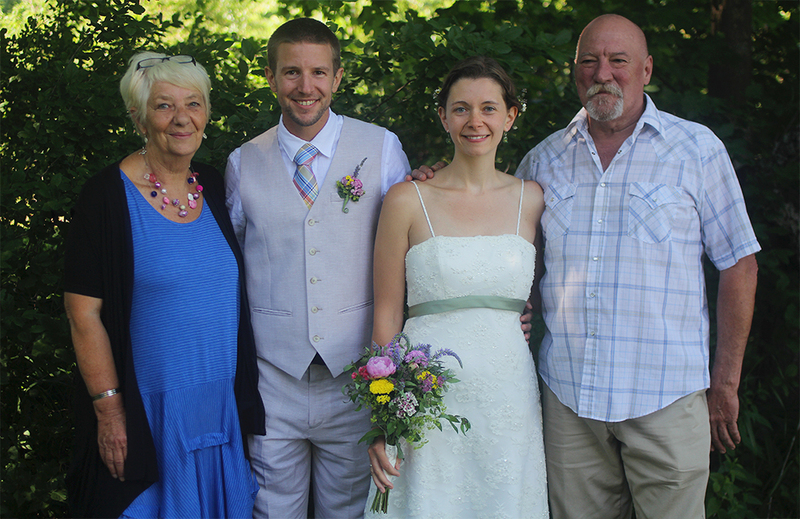 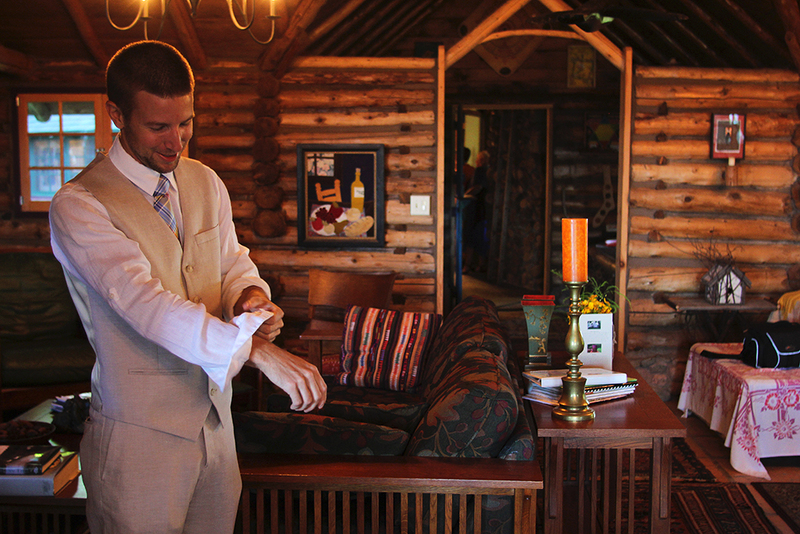 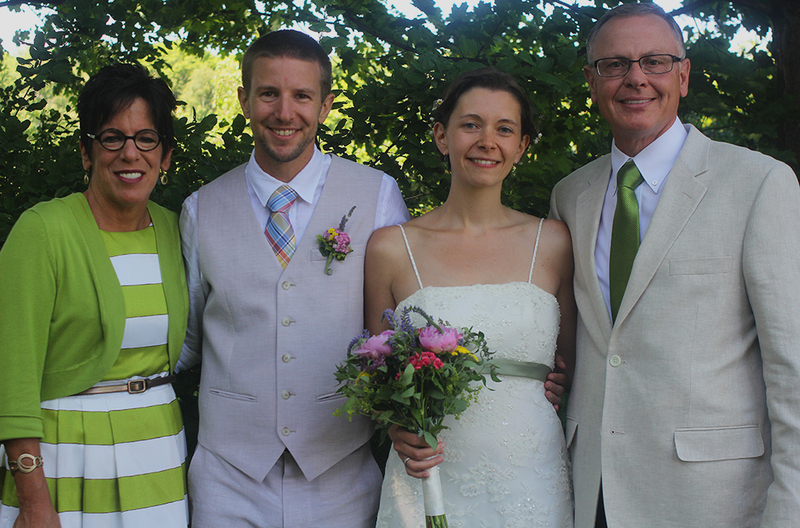 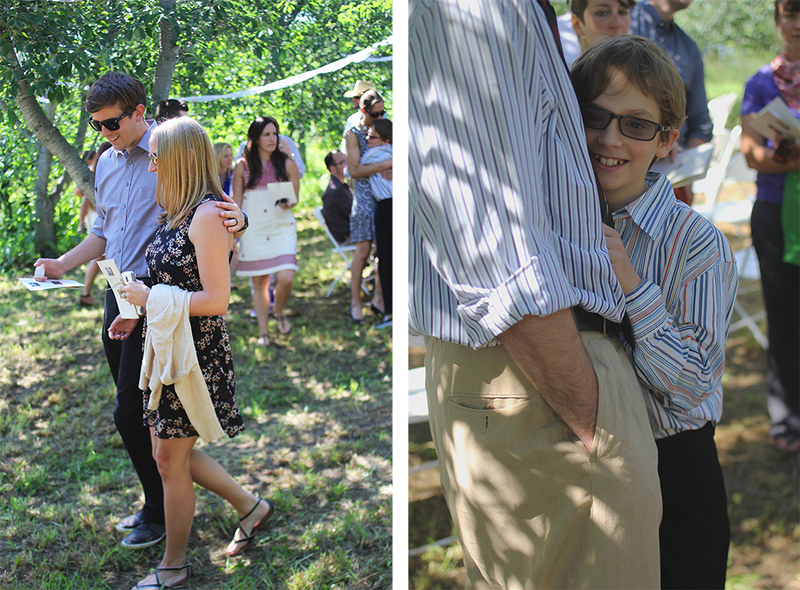 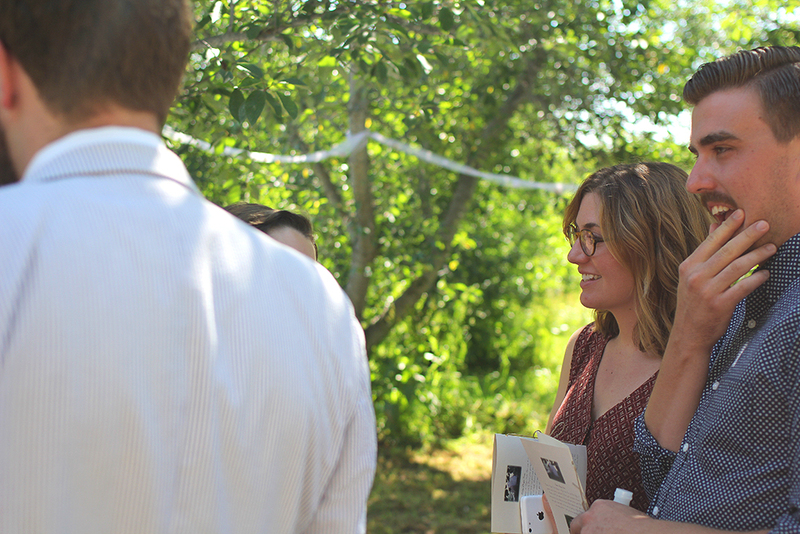 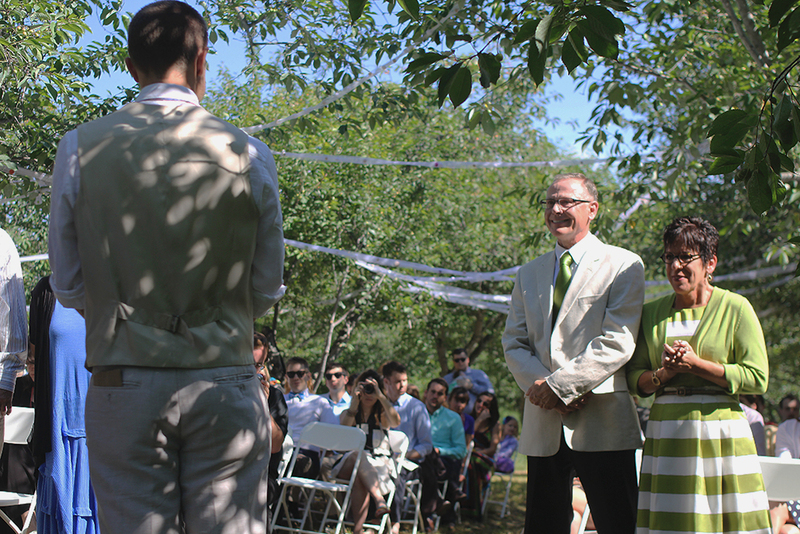 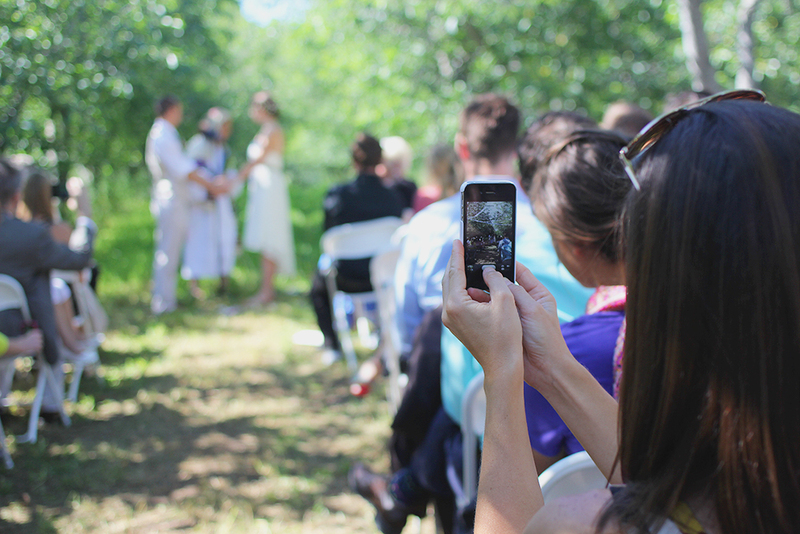 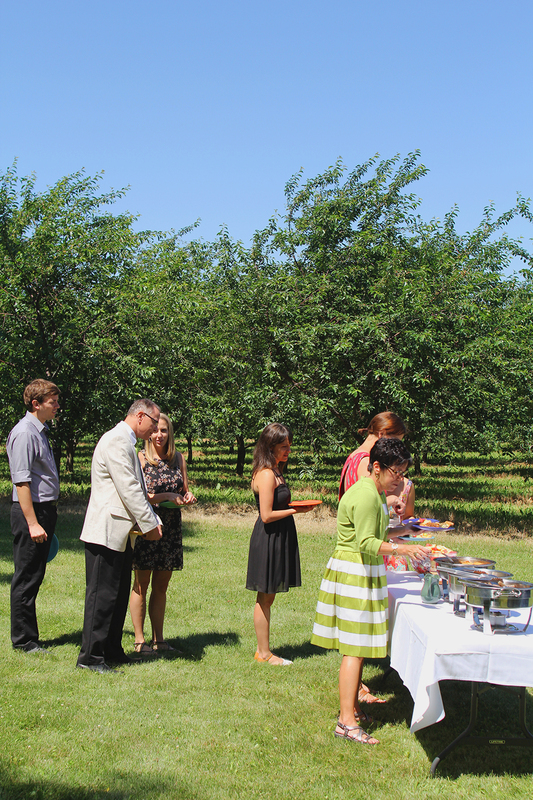 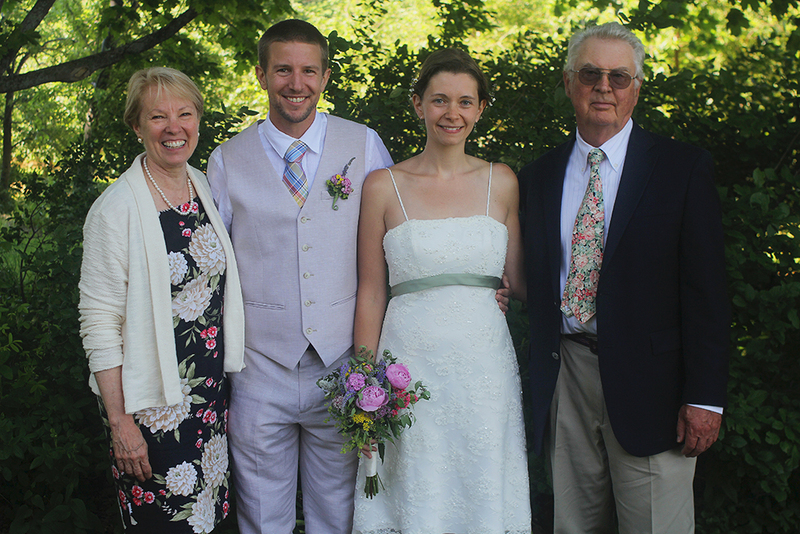 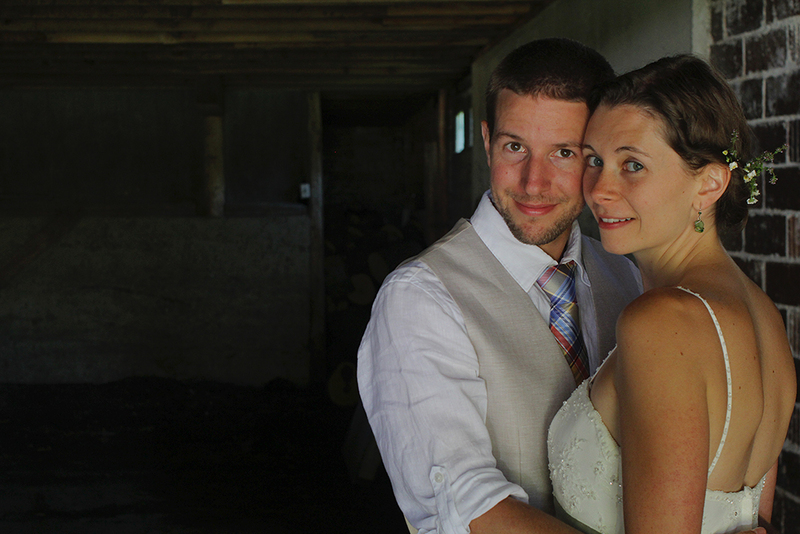 The wedding ceremony took place in Liz’s uncle’s organic cherry farm at 10:30am and was attended by about 80 people. 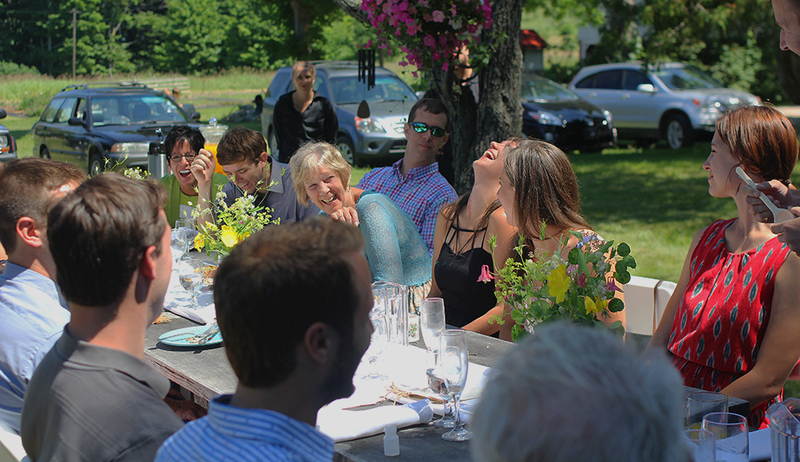 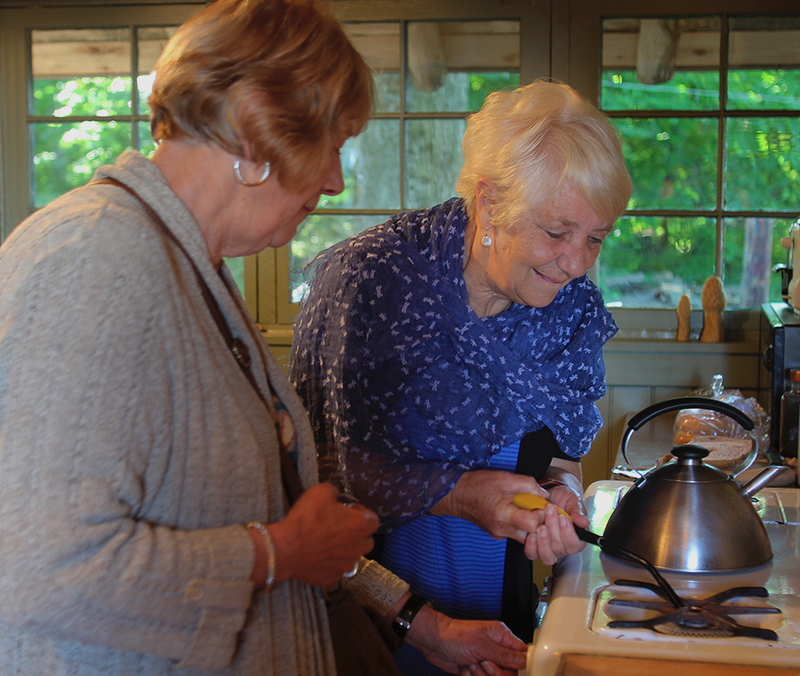 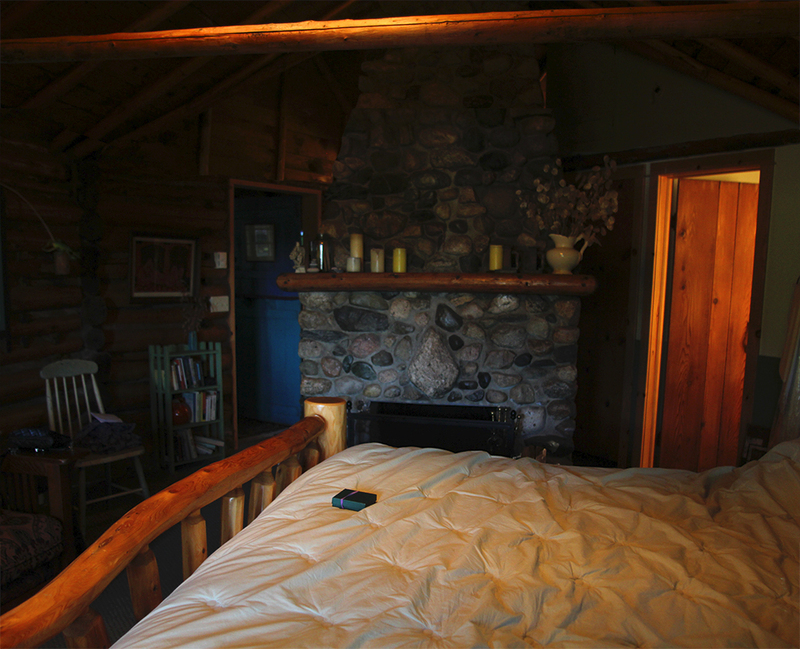 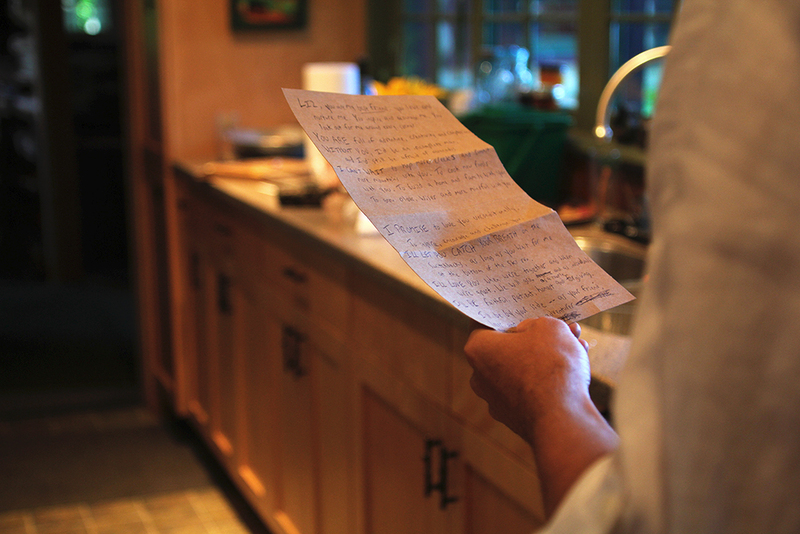 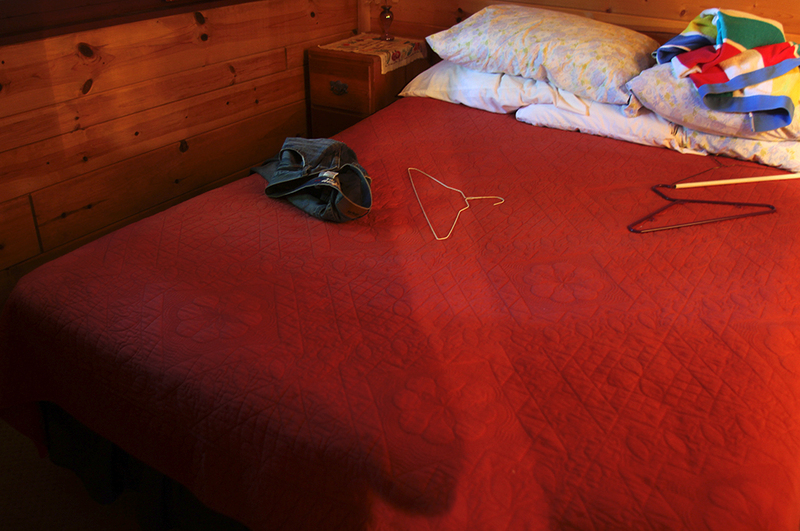 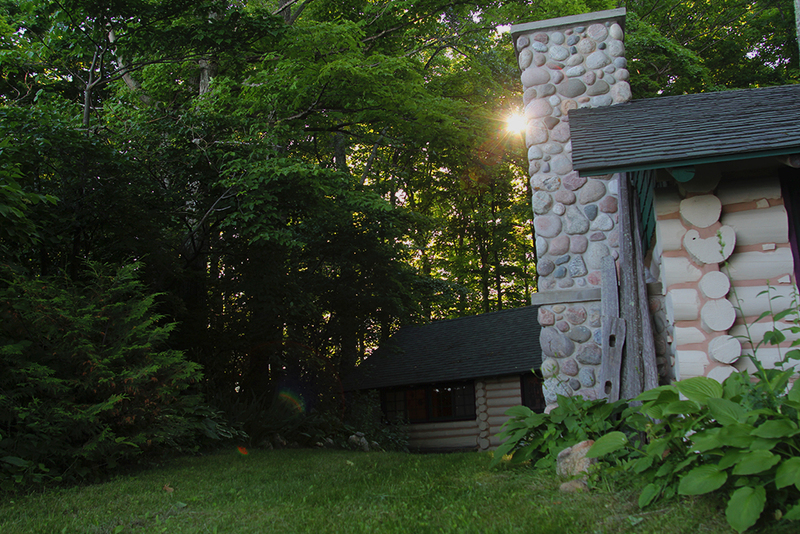 Then, for a more intimate gathering, the couple invited a smaller group of about 35 to have brunch with them back at the farm house, while everyone else was instructed to “go play” in the summer sun — go to the beach, take a hike, or maybe a nap, just in general do whatever you wanted for a few hours — until everyone was invited to come back for a barbecue and shindig back at some large tents that were set up just outside the farm house later that evening. 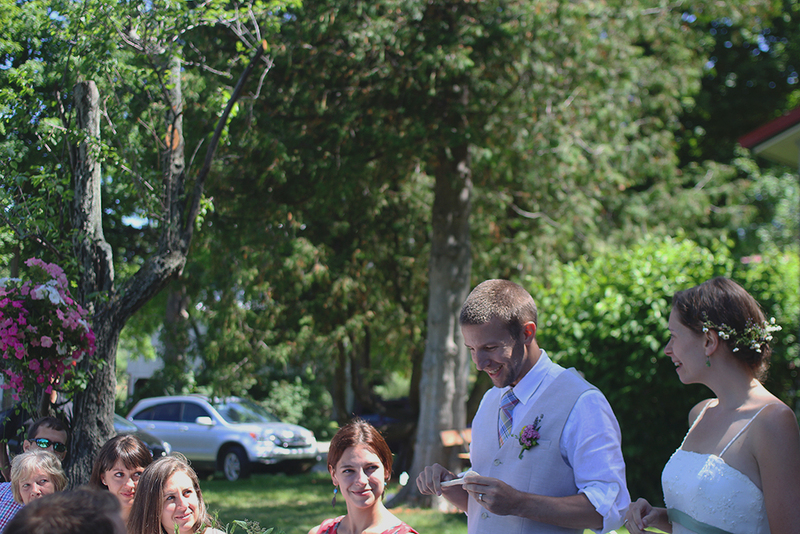 They kept it simple with no bridal party, which I thought was sweet because it put so much more of the focus on them as a couple, just the two of them. 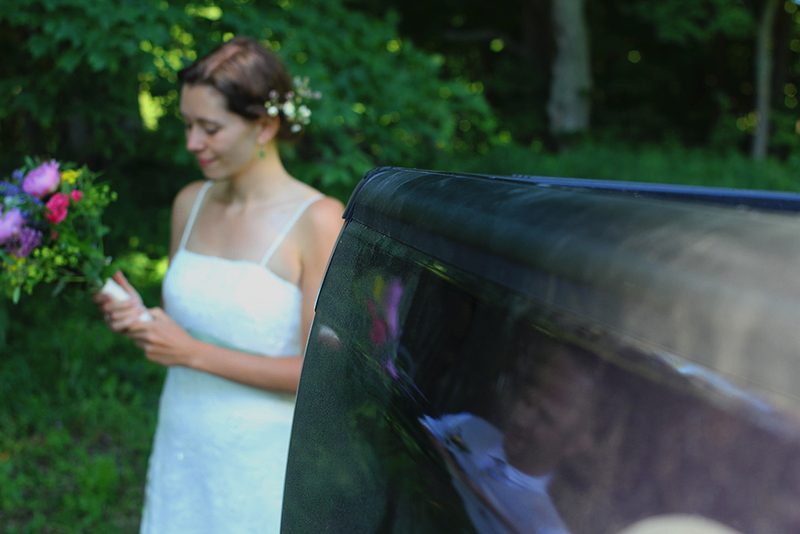 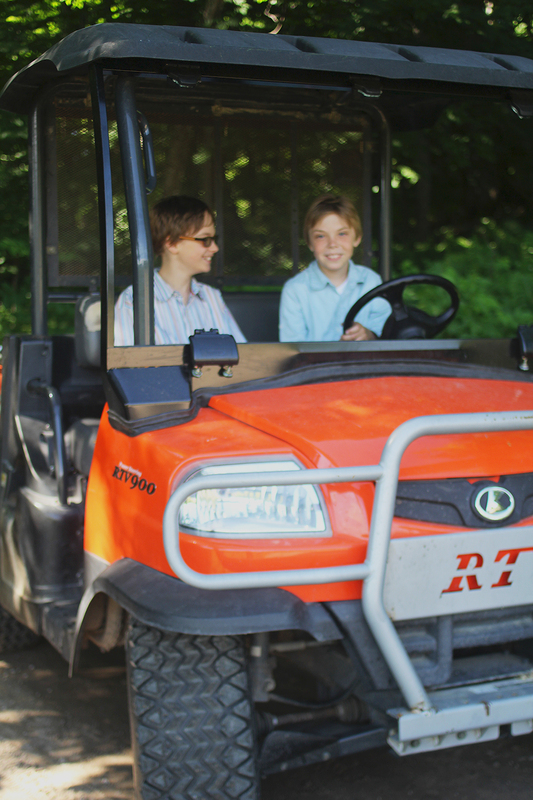 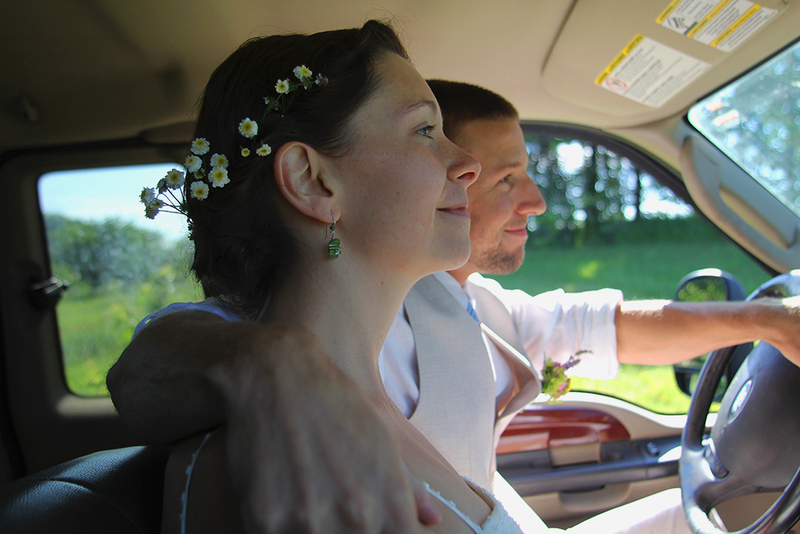 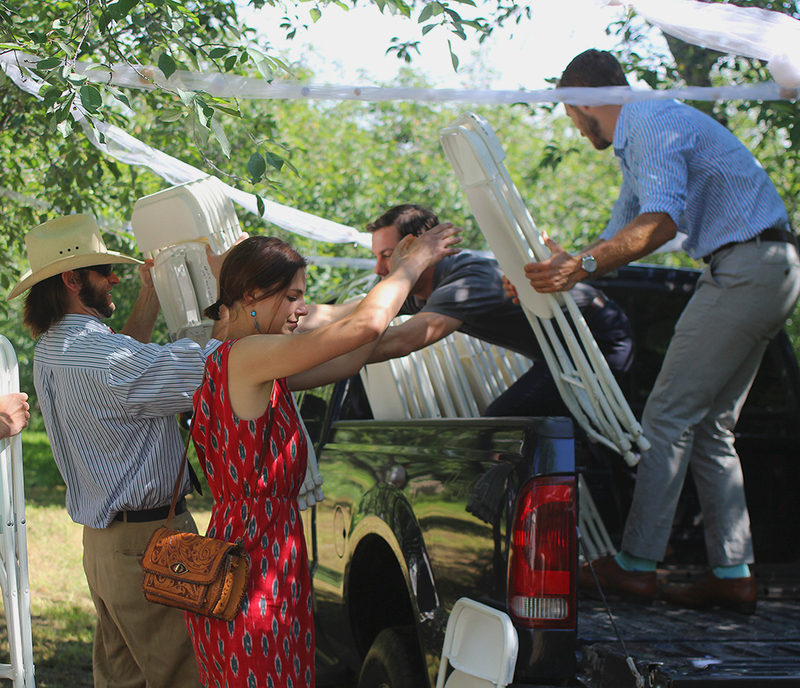 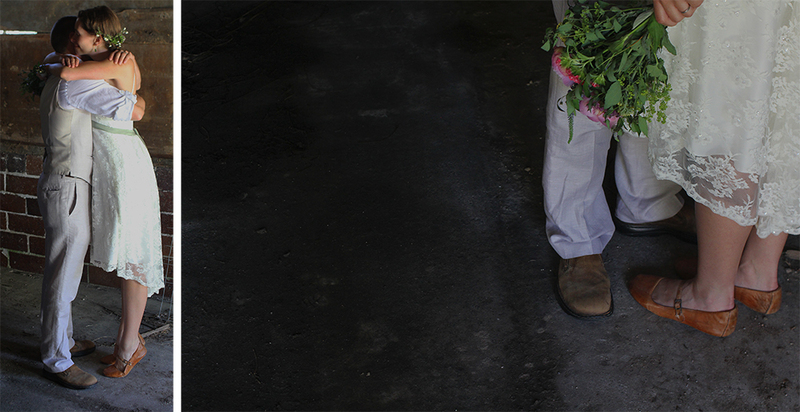 They rode up to the orchard in a diesel truck on a back trail, so that no one would see them before the ceremony.